J’espère que vous avez eu un bel hiver et que vous êtes prêts pour le redoux printannier. De temps en temps, surtout une journée comme aujourd’hui, je peux presque sentir la terre et mon imagination se déchaîne. Je sens le sol entre mes doigts et je me réjouis de savoir que je verrai à nouveau émerger les pousses vertes. Ces pousses vertes ne sont toujours identifiables alors je vais vérifier tous les jours (parfois deux fois par jour!). Les passants se demandent sûrement ce que je cherche avec mon nez si près de la terre. Quand je me rappelle de quelle plante il s’agit et quelle fleur cela donnera, je suis ravie et satisfaite. Même les herbes indésirables ont cet effet au printemps! 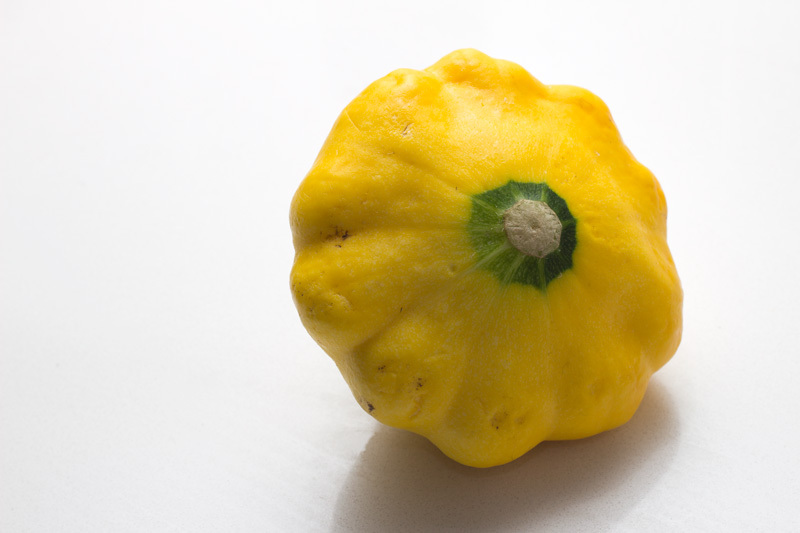 Ce courriel est pour vous faire savoir qu’après trois années extraordinaires, je ne vendrai plus de légumes. Quand je pense à vous tous, fidèles clients, et nos interactions hebdomadaires, je me sens triste. Mais je suis heureuse aussi car cette année, je vais développer de nouvelles compétences (en agriculture toujours) tout en regardant (et en m’installant sur) une propriété plus grande à la campagne. Je suis maintenant impatiente d’avoir une relation à long terme avec une parcelle de terre. Je vais continuer de cultiver des légumes et donc, de temps en temps, et en fonction de la récolte, je pourrais avoir des légumes a offrir. Je vous le ferai savoir par cette liste d’envoi (s’il vous plaît, n’hésitez pas à me le dire si vous souhaitez vous désabonner). Aussi, j’espère que vous serez toujours en mesure de profiter de certains de nos légumes frais et hyper-locaux sur les délicieuses pizzas de la Boulangerie Aux Deux Frères. Pour ceux d’entre vous qui ont envie de venir jardiner, vous êtes toujours les bienvenus à venir pour quelques heures quand l’envie vous prend. Je suis désolée de ne pouvoir vous fournir vos légumes hebdomadaires. Ça a été un honneur de le faire et je suis reconnaissante envers tous ceux qui ont soutenu cette passion et cette initiative. J’espère que vous vous porterez bien et continuerez à manger de la nourriture saine et appétissante. p.s. Si vous voulez que je vous envoie une liste des fermes (ASC et biologique) de la région, s’il vous plaît envoyez-moi un courriel. 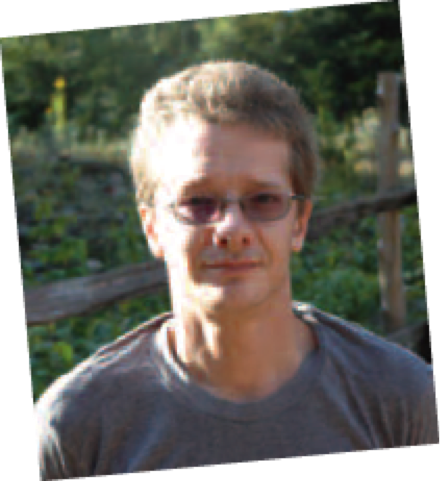 Une autre excellente façon d’obtenir des légumes locaux c’est à travers le MSRO (tout n’est pas biologique, mais ils ont beaucoup plus que des légumes) ou Emile Peloquin. Les photos sont sur notre site-web anglais. Cliquez içi pour le debut de l’éte et ici pour mi-éte. Front: Sidney. 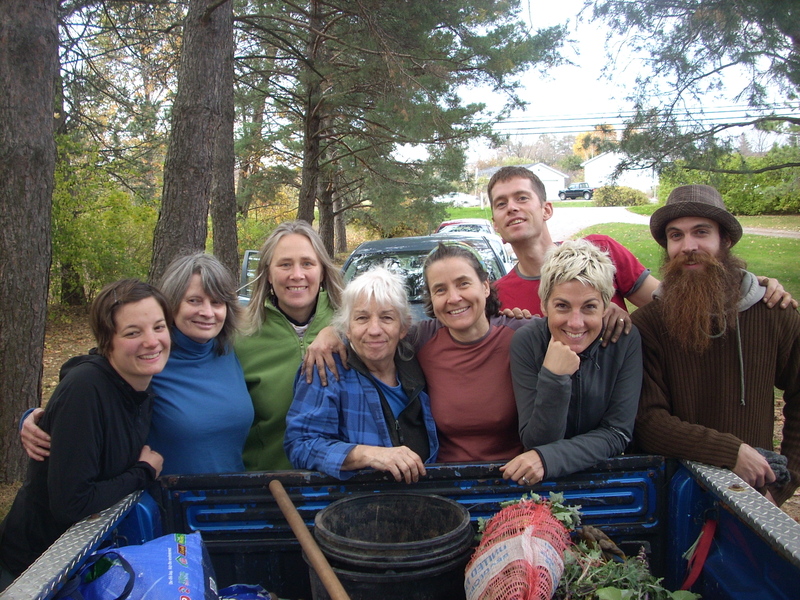 Left to right around the circle: Mirielle, Laurence, Huffy, Dora, Julia, Gillie, Sharon, Daniel, Anne, Jen and Marc-André. Photo: Andrew. Ninon picking up her vegetables. Photo: Pierre Robitaille. Outrageous? Well, yes. Outrageous for several reasons. First, I have frequently felt outraged, for no good reason, at restaurants that call anything sliced thinly “carpaccio”. 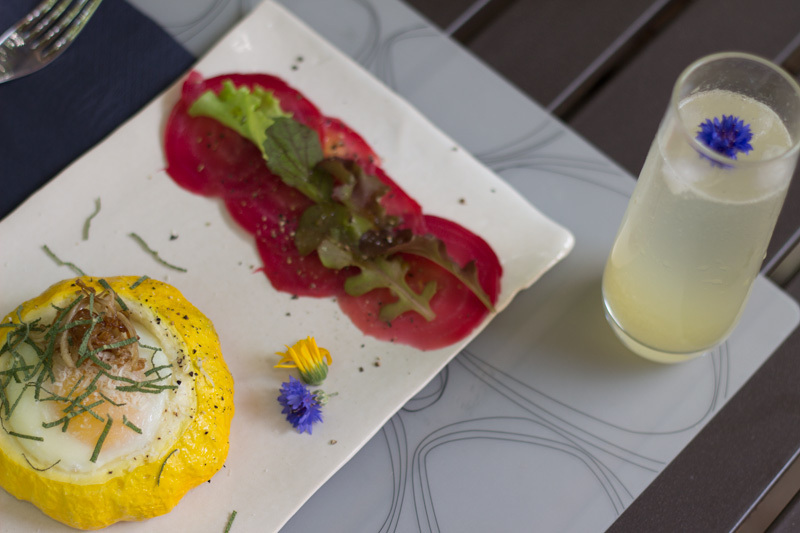 You know; carpaccio of canteloupe, watermelon carpaccio, etcetera etcetera. 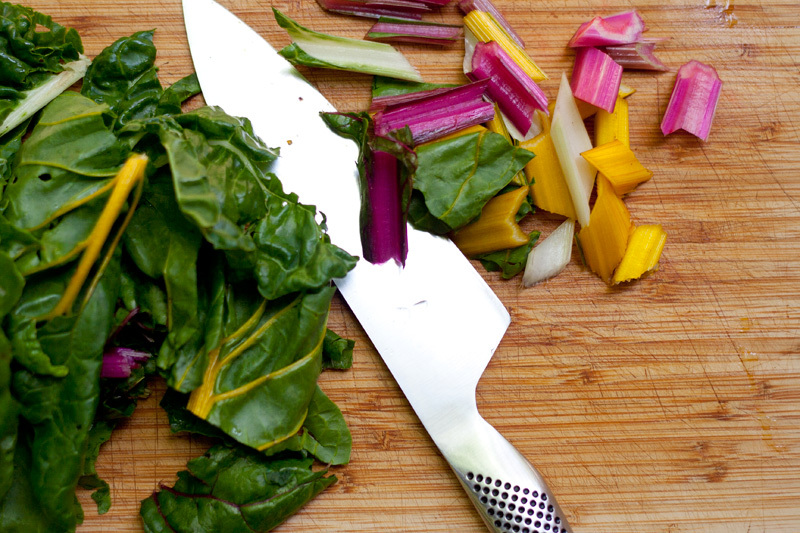 But when I sliced these beets, they looked and felt so deliciously beefy that there was no doubt what I was making. I had previously suspected that carpaccio had to be beef. I thought the very word might be Italian for a particular cow or cut or something specifically bovine, although I also harbored a nagging suspicion that it might just be Italian for “thinly sliced”. So I looked it up. Delightful. Invented at Harry’s Bar in Venice for some aristocratic countess who would only eat raw meat, the dish was named after a Venetian renaissance painter, Vittore Carpaccio, because it reminded owner Giuseppe Cipriani of the colors in his paintings. He would approve of these beets. Second, I’m outraged that the beets were made not by me, but by Kyla, who roasted them up for last night’s salad, so I can’t really take full credit. Third, the roasting of the beets was performed outrageously, by encasing them in a wet mixture of salt, lavender and thyme. 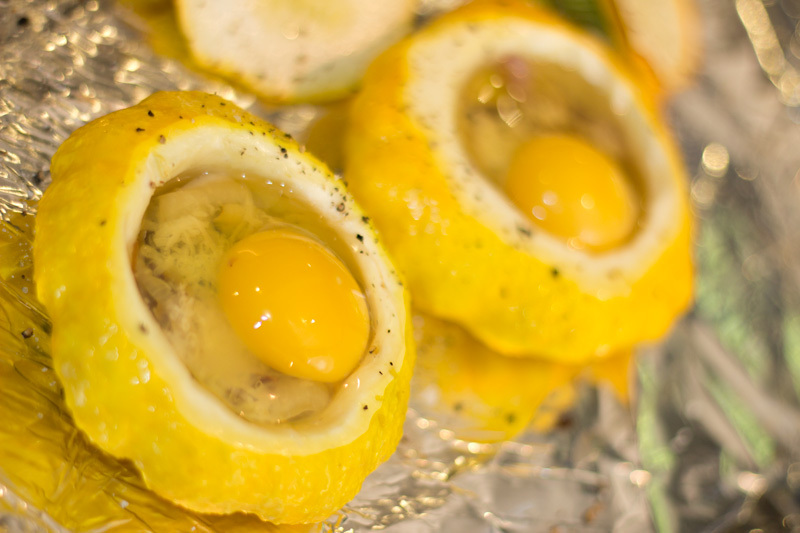 Fourth, the outrageous roasting recipe was from Sunset magazine, as was the recipe for the pattypan squash eggs. As much as I’d like to be all edgy and cool and be cooking stuff from Lucky Peach or the latest hipster cookbook, no. Sunset. It’s actually from the Sunset Edible Garden Cookbook. Which is great. Fifth, I ruined the photo, above, by selecting too shallow a depth of field, so I’m outraged that you can’t clearly see the stupid carpaccio. Lastly, the carpaccio was outrageously delicious. Preheat the oven to 425°. Take good beets of any kind. One and a half to two pounds. Kyla had a bunch of four big ones from the farm and that was just about right. Cut off the tops and tips and scrub them a little. Mix 3 pounds of kosher salt with four egg whites, 1/3 cup of fresh thyme and 1/4 cup of lavender, plus two tablespoons of black peppercorns and 1/2 a cup of water. I know; it’s outrageous. It feels like wet sand. Put a 1/4-inch layer of that in the bottom of your roasting pan and put your beets on top of it. 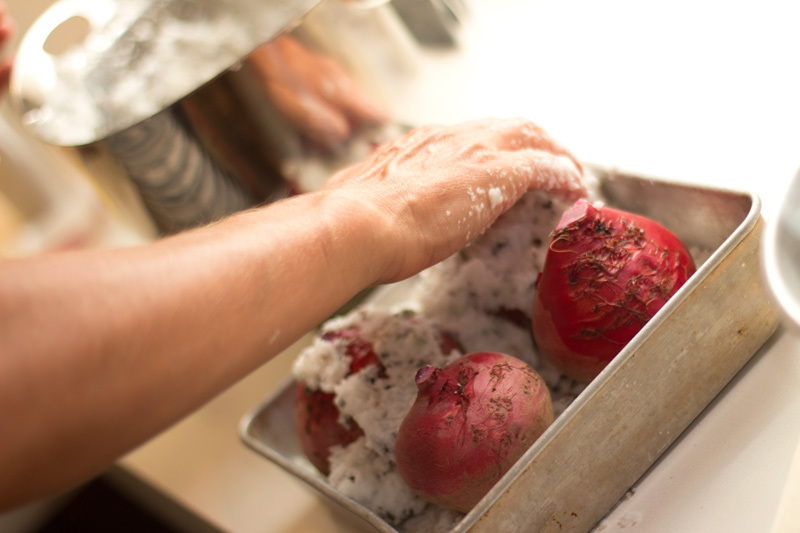 Then dump the rest of the salt mix on and press it down to fully entomb the beets. Bake them for an hour and fifteen minutes and then crack the crust open to break them free. Kyla made a salad of them with fresh farm greens and an avocado. Lovely. 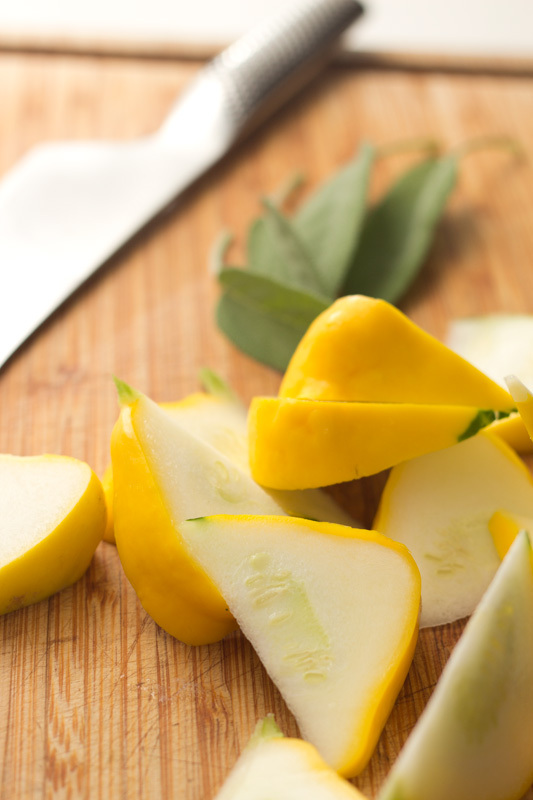 The carpaccio for the next morning’s brunch was simple; shave a leftover beet with a mandolin and lay out the slices. 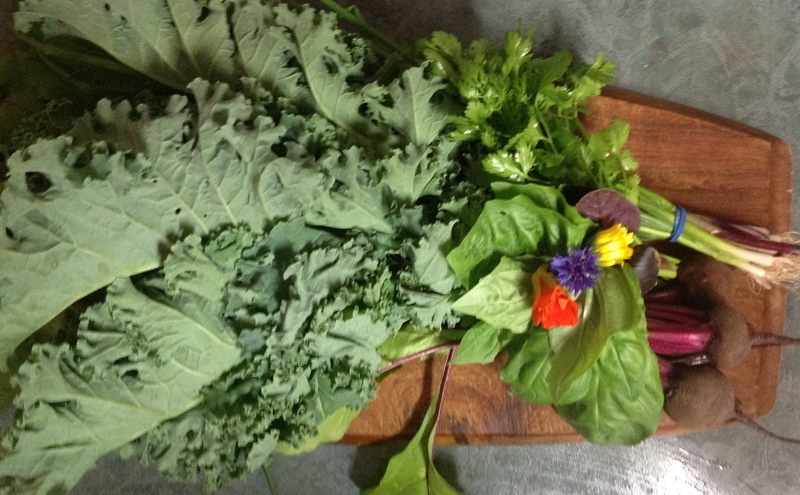 Top with the sweetest, smallest, tenderest baby greens plucked from the garden. 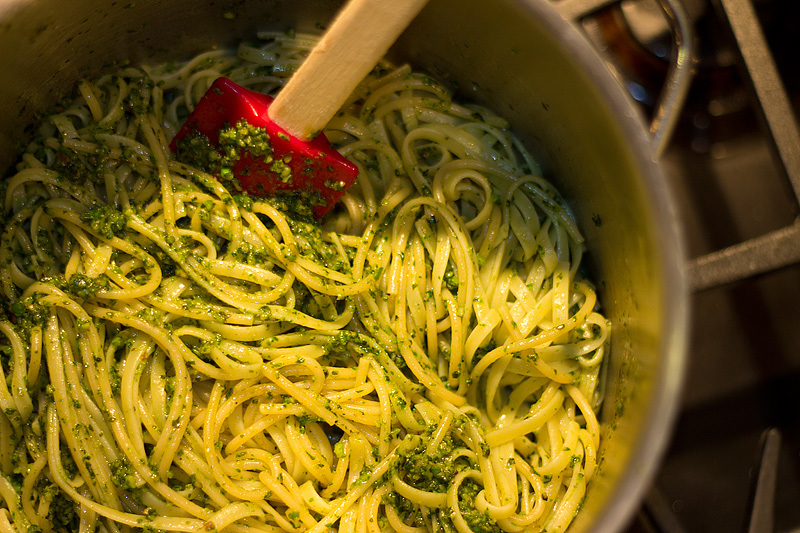 A squeeze of lemon and a drizzle of your best olive oil, and that’s it. Another piece of sheer madness inspired by the Sunset book, and perfect for the pattypans that are just now rolling out of the Aylmer Backyard farms. Preheat the oven to 375° Cut the tops off and scoop out all but a quarter inch of the inside of some pattypans. Rub them with oil and season with salt and pepper, and roast them for 15-20 minutes. Meanwhile, saute some of the farm’s spring onions and new garlic. 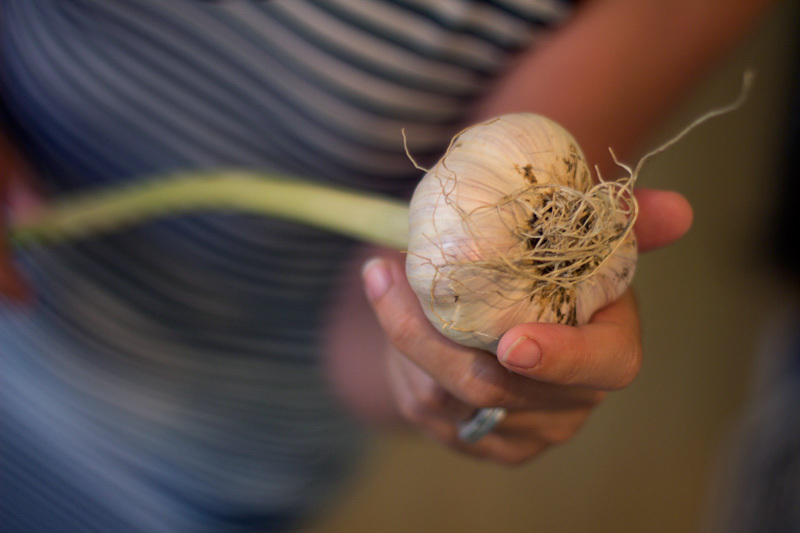 The garlic is huge this year! I also had some leftover enoki mushrooms in the fridge, so I sauteed those up after the garlic and onions for a garnish. 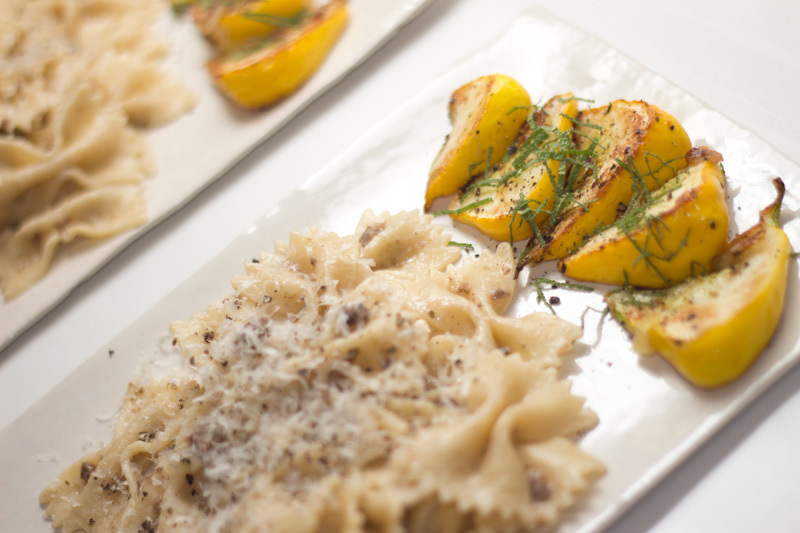 Line the pattypans with the onions and the garlic and a touch of grated parmesan. Crack an egg into each one and then back in the oven for 15 more minutes. 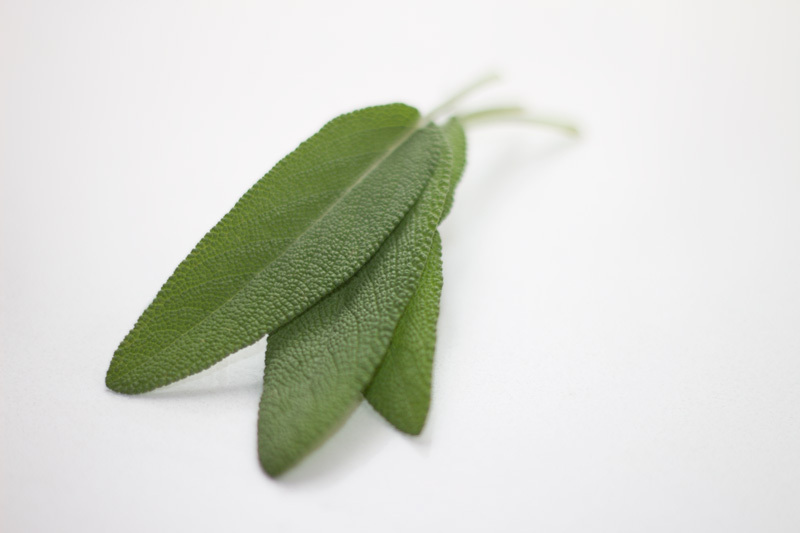 Top with a little nest of enokis and some sage from the garden, and salt and pepper. The drink was a fresh-squeezed lavender lemon-limeade with mezcal and lavender bitters. Nice. 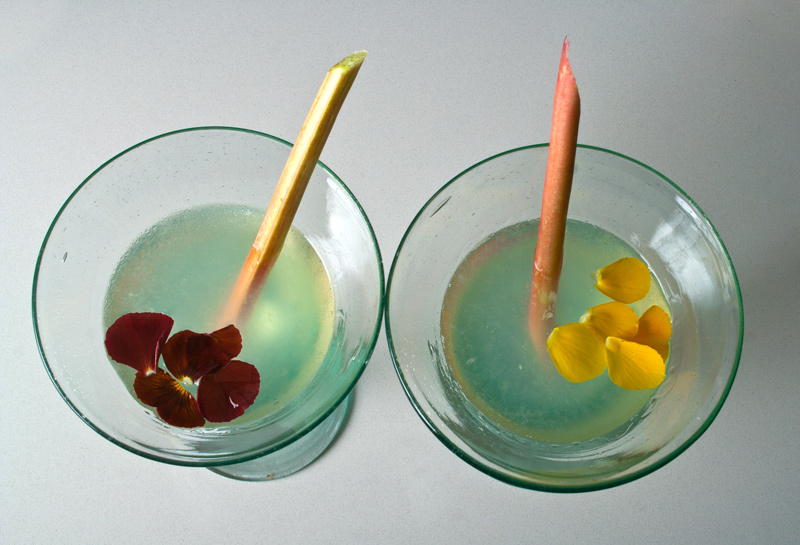 And garnish everything with flowers, of course. 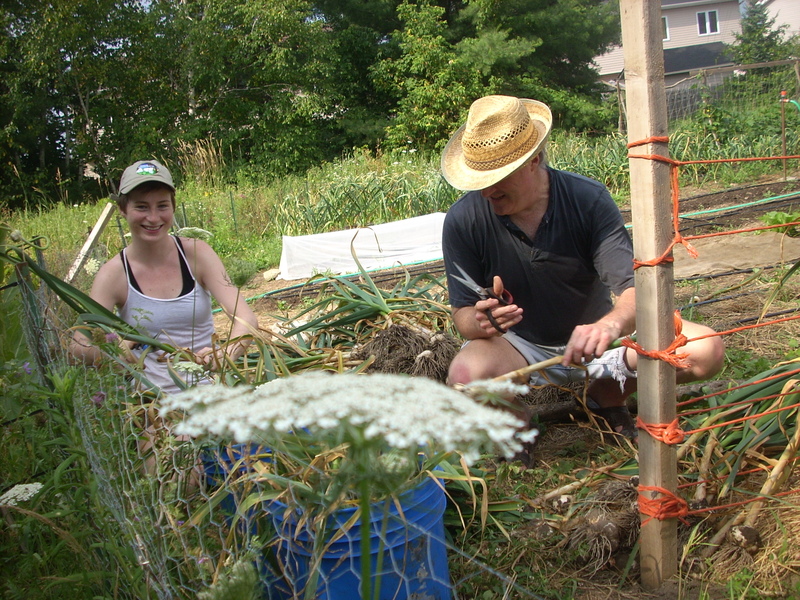 Here are some photos of the garlic harvest team in action last Monday (July 16). Thanks to Jen, Marc-André, Simon, Eliot, Hana and Amelia who came out to help. Zoé and her mom, Valérie (the landowners), who joined in and the farm team, especially Mathilde and Dora who put in extra time to help us pull, clean, bunch and hang 1,000 big, beautiful, delicious bulbs. 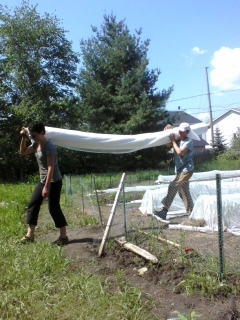 Kayla and Marc-André snipping the huge stalks to fit into the bins. The stalks this year were twice the height (and width) than last year! i have been holding back talking about the challenges this year. well, not talking about them, but writing about them (i have definitely been talking about them). my hope is that now, if i write about them, i can refer people to this post and then move on to other happier subjects like what is growing, rather than what is not. 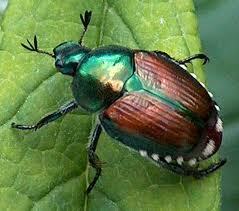 spring was a challenge: insects came out in a vengeance. 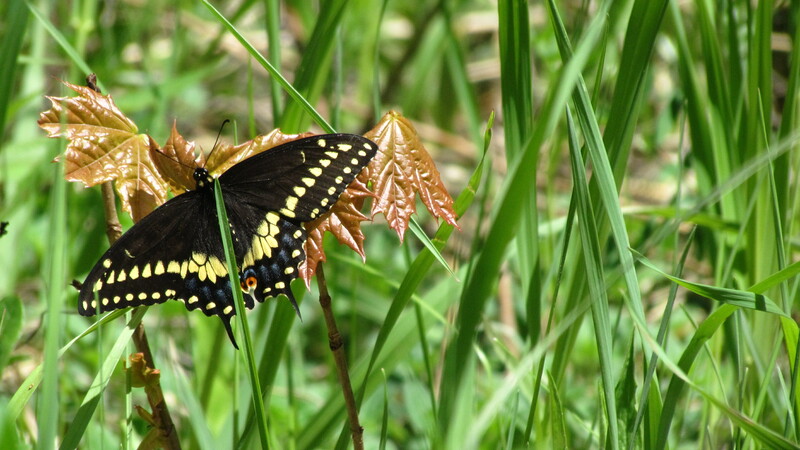 the mild winter and then heat wave in the spring probably meant that more of them survived than normal and others became active earlier. the cutworms chopped down several healthy plants but, here in the urban gardens, it was and continues to be, the earwig that is my mightiest foe. i have at times felt completely defeated by them and close to giving up. especially when, exhausted, i find one on my kitchen counter or in my water glass (at that point i thought it must be « A Sign » so I went and looked up the symbolism of earwigs…i didn’t find anything). four other pests are doing their bit to make it hard for the already weather stressed plants to produce in our gardens: the imported cabbage worm, the flea beetle, the japanese beetle and the striped cucumber beetle. thanks to the activity of these five creatures, more than 70% of certain crops have not survived the many seedings (cilantro, carrots, beets, beans, cabbage, kohlrabi, turnips) and others have been either severely set back or made unappetizing (basil, cucumbers, arugula, lettuce, squash). if your cucumbers don’t look pretty it’s because of the striped scucumber beetle. 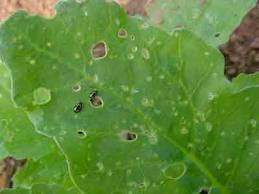 if your arugula is filled with holes, it’s the flea beetle. 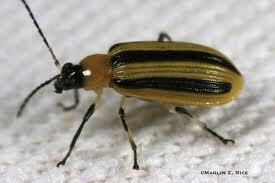 if you aren’t getting any cabbage it’s a mixture: imported cabbage worm and earwigs. 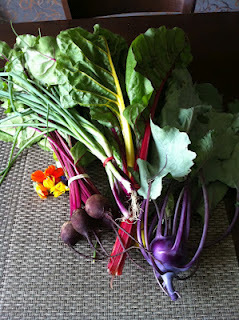 if the beets and carrots are few and far between it’s the earwigs…. and so on. and then there is the drought. it is so incredibly dry out there. we have not had more than 5 minutes of rain for over a month. and that rain came down hard so did nothing for the soil. yesterday, i watched the radar inside and the clouds outside, waiting for the much anticipated storm. it passed us by. a storm like that can wreak havoc on tender plants but we need water so badly. aside from the obvious stresses of dried up plants and plants not able to get their nutrients, the drought mixes things up in the ecosystem: one farmer just lost $3,000 worth of lettuce to groundhogs. groundhogs have never been a problem in the middle of these fields out in the countryside, but their usual food sources have likely dried up and caused them to start searching yonder. here squirrels are starting to get more active, searching for plants with water…every day i watch another corn plant go down. we are so very lucky to have city water to irrigate our plants but i don’t like using it so much. we are also not set up for city water to be our main source of irrigation. that’s the role of rain water which does a far better job of it: even distribution of nutrient rich water. lovely. very different from the chlorinated water that is spread imperfectly by the various drip line and sprinklers that we have going. 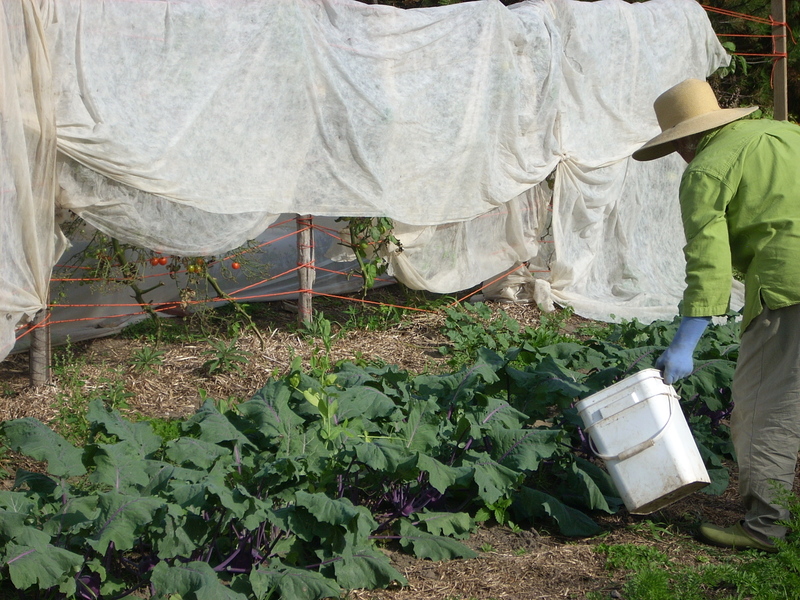 all growers seem to be fretting and running around moving water lines, rigging up new watering systems, digging larger ponds, setting up water timers, buying extra sprinklers and doing whatever we can to keep our food (beautiful, necessary food) growing in spite of the drought. there is something strangely comforting about the image of this army of farmers all running around throughout the region battling the forces of nature. it’s helpful to know that so many people are in this together and working so hard to succeed. here are a few links to articles about the drought and regional farms. and yet, the weeds are doing just fine. 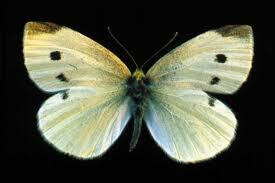 they are strong and adapted and happy to take over when everything else is stressed. so while our vegetables may be in shorter supply this year, the weeds are remarkable. we have been doing relatively well to stay on top of them but it requires daily management. as soon as we are on top of them in one spot, they are back in a vengeance in another. and right now, the ones we didn’t get to last week, are bursting with seed. « One year’s seeding makes seven years’ weeding ». I had better get out there and weed. 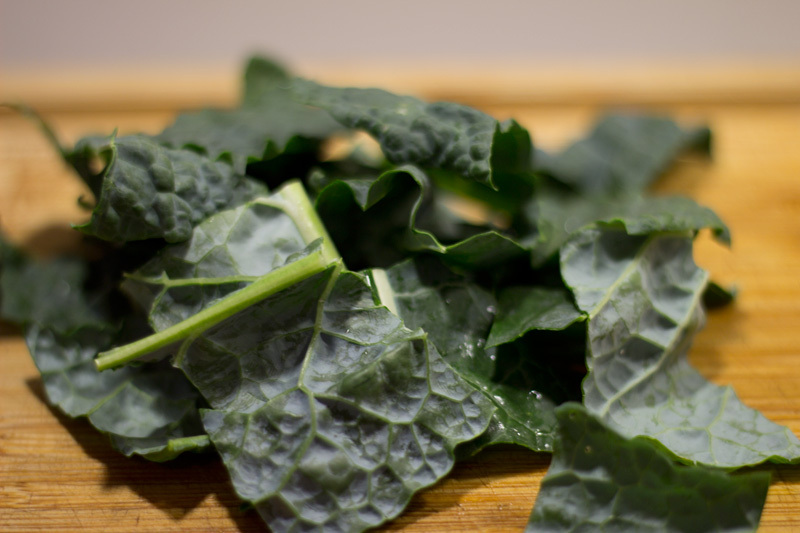 So, kale is all the rage these days, and so are kale chips. Here’s a spin on the basic. Don’t plan to keep these around – they won’t last! 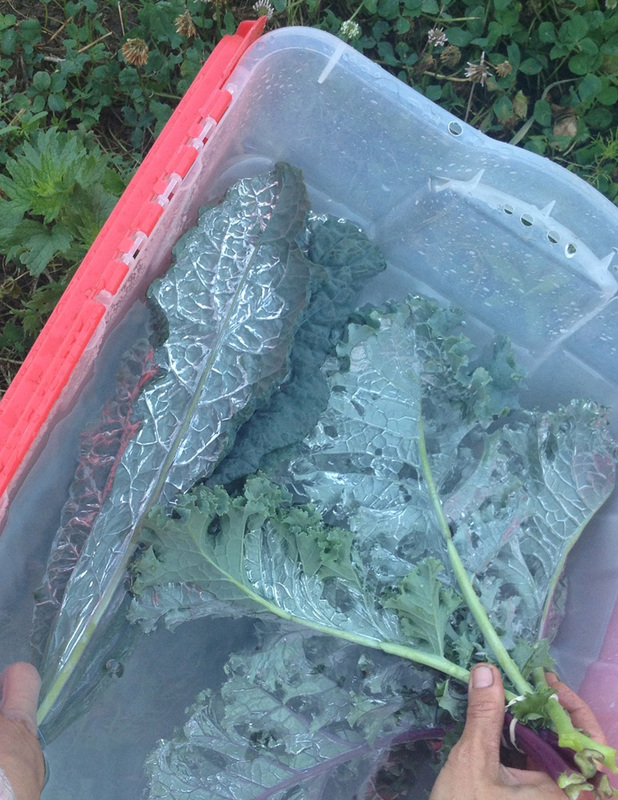 At the Backyard Farms, we’re growing laccinato kale, or dinosaur kale, an heirloom variety. Definitely prehistoric looking, and it makes a terrific chip! Washing freshly harvested kale at the farm. It takes on strange silver highlights when it’s under water. 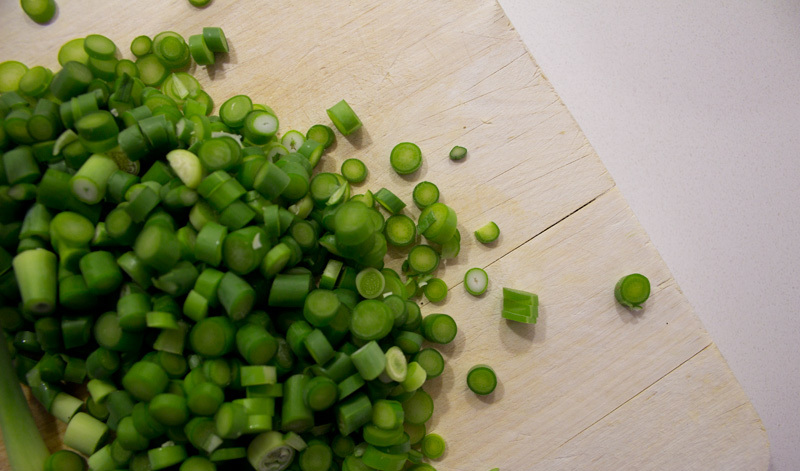 …and toss with remaining ingredients. 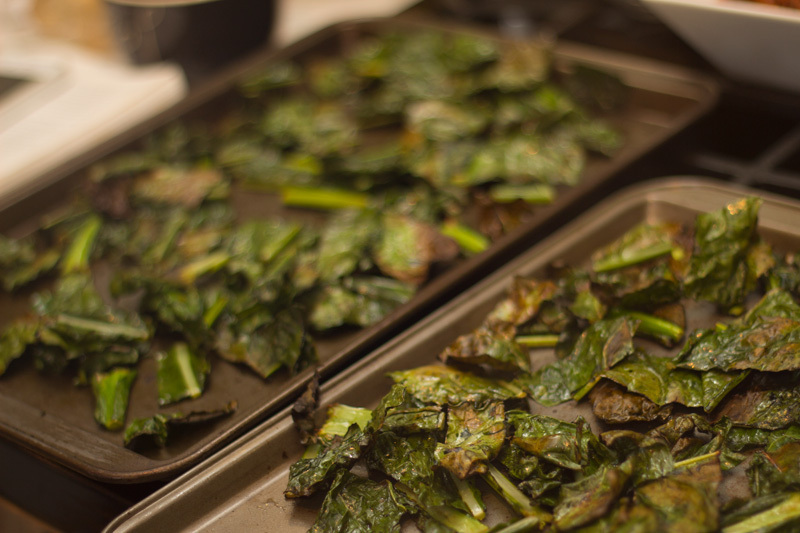 Spread out on a rimmed baking sheet and roast at 425°F for 8 minutes, tossing halfway through. Recipe from Grow, Cook, Eat by Willi Galloway. Words: Kyla. Pictures: Rob Bitschofsky, except harvest photo by Kyla. 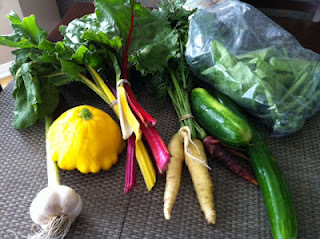 Inspiring and delicious: Hyper-local vegetables and urban farming in Aylmer. Photo: Shawna Wagman, Ottawa Magazine. Last Saturday morning I was on a quest for fresh local strawberries and my research led me to Alymer, Quebec. I live in Ottawa’s west end so it was as easy as crossing the Champlain Bridge and hanging a left. I was in Alymer within minutes. Who knew there would be so many wonderful foodie surprises? Here’s a whistle-stop tour of three great food finds in Vieux Aylmer, that are right on the way to the pick-your-own berry farm. STOP#1: Boulangerie Aux Deux Frères (146, rue Principale) is an artisanal bakery run by brothers Etienne and Emmanuel Lavoie. Bread baking apparently runs in the family — their father is Alain, the now-retired former owner of Boulangerie Pain d’Alain in Hull. It was breakfast time so I bought a warm walnut sourdough and some buttery French pastries to take home. After chatting with a few regulars, I discovered that the magic hour for this bakery is 11:30 a.m. when huge slabs of pizza topped with tons of chunky fresh vegetables emerge from the ovens. I peeked in the kitchen and saw the impressive pans of pizza being prepared. Walnuts, spinach, red onion, and cranberries were being heaped onto a crust made with the same long-fermented dough as their baguettes. I already had lunch plans but I will definitely be back. I’ve got my eye on the pissaladière. The bakery is closed Mondays and Tuesdays; Wed-Fri 9am-6pm; Sat-Sun 9am- 5pm. Everyone in Aylmer seems to know what’s coming out of the oven at 11:30. Shawna Wagman. STOP #2: You’ve heard of the 100-km diet, how about the 2-km diet? That’s the dream of Anne Janssen, who calls herself an urban farmer. 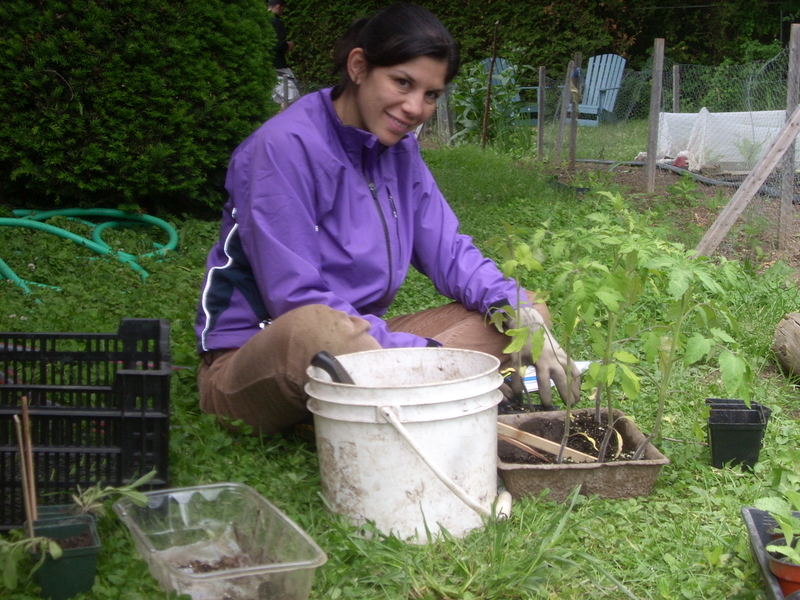 She is the mastermind behind Aylmer Backyard Farms a volunteer-run operation dedicated to growing organic vegetables, herbs, and plants in three Aylmer yards, all plots totaling about ¼ of an acre. 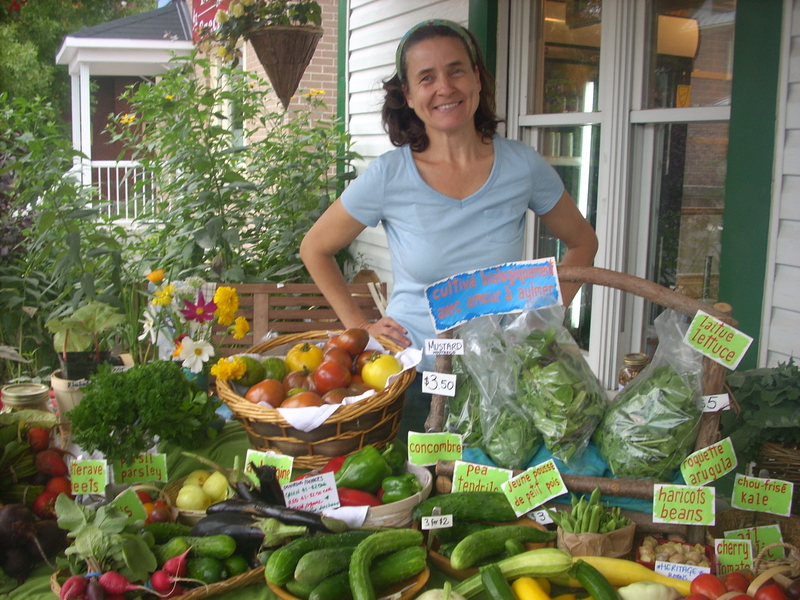 In 2010 she launched a community project that includes a CSA (this year she feeds 16 “shareholders” with weekly baskets of homegrown goodies) and on Saturday mornings from 9 am to 1 pm, Janssen sells vegetables on the porch of Boulangerie Aux Deux Freres, less than 2 km from where everything is grown. She also sells mason jars of Andrew’s Granola (Andrew is her husband), a wonderful sesame-studded blend of organic oats, nuts, and seeds made with local sunflower oil and local honey. A one-litre mason jar costs $8.75. 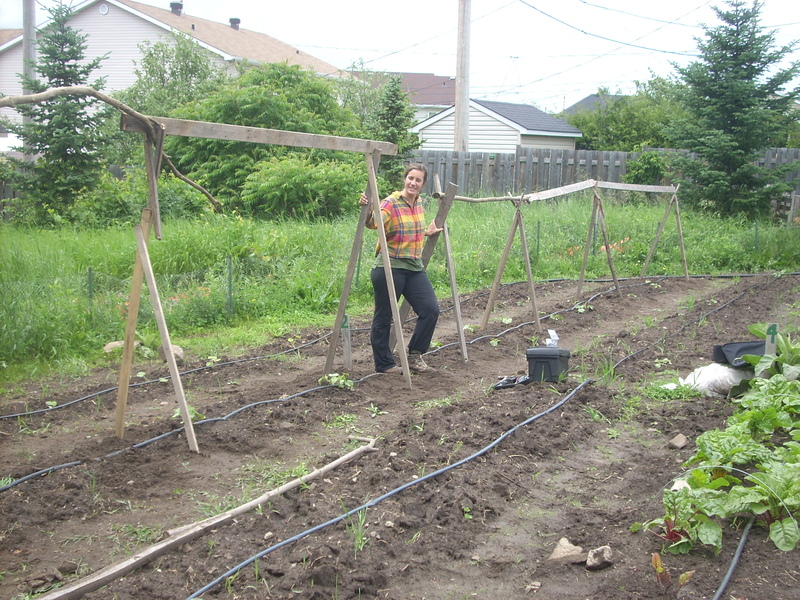 Aylmer Backyard Farms did a brisk business, June 2, from its location at the Boulangerie aux Deux Frères on Rue Principale. 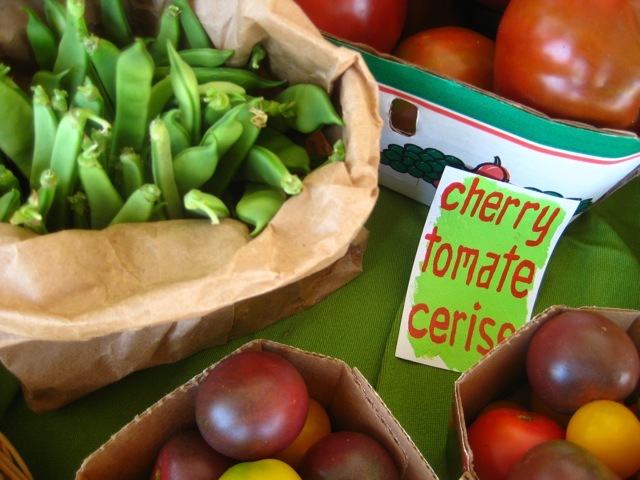 Veggie Stall, Saturday June 14. Photo: Julie Murray. The produce sold there is organic “hyper-local” quality vegetables, herbs, flowers and other plants. Sylvain Ouellet purchased some Asian greens from owner Anne Janssen. 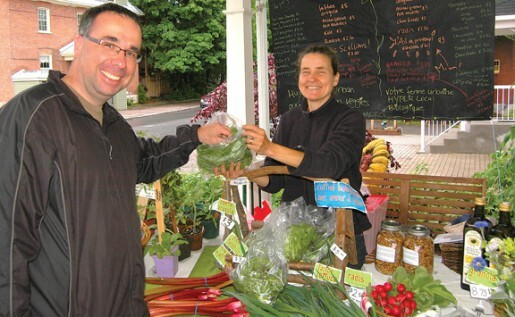 Mr Ouellet commented, “I love shopping at the small local businesses; there are a lot of them on Rue Principale.” Aylmer Backyard Farms is open on Saturday mornings next to the bakery throughout the summer. Ky brought home a great batch of arugula from the farm, and we had some Niagara prosciutto that was a little too salty. The solution? Kyla’s Roman pizza. Now, I like making pizza, but with me it’s always a big operatic production, with yeasts and rising times and the oven burning at top temperature and filling the house with smoke. Kyla, on the other hand, just whips ’em up Roman-style, in half the time it would take the pizza man to arrive. Place the flour on a wooden cutting board, adding water bit by bit until you have a soft, elastic dough that doesn’t stick to your fingers. Work the dough for two to three minutes until you have a moist ball. Sprinkle a bit of flour so it doesn’t stick to the board. Roll the dough out into a small pizza, and place it in a very hot cast iron frying pan, cooking until the bottom has formed a crispy crust. Then flip it over and do the same to the other side. Cooking time: approx. five minutes. Add your ingredients just before the pizza is ready. 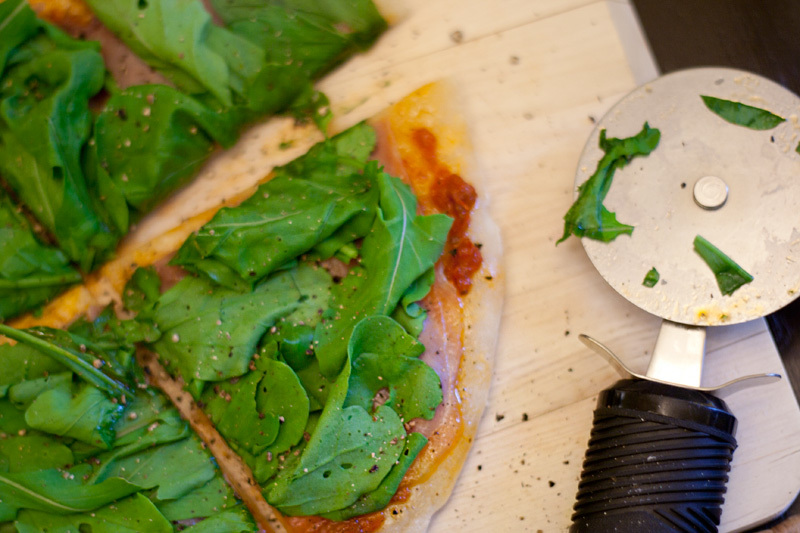 In this case, a little film of pesto, a layer of the salty prosciutto, and then a heap of arugula. You can stick a lid on there for a minute or two if you wanna get everything extra-hot. Pictures: Rob Bitschofsky; words: Kyla and Rob. Scapes are only around for the blink of an eye, so you’ve gotta pounce on ’em while they’re here. 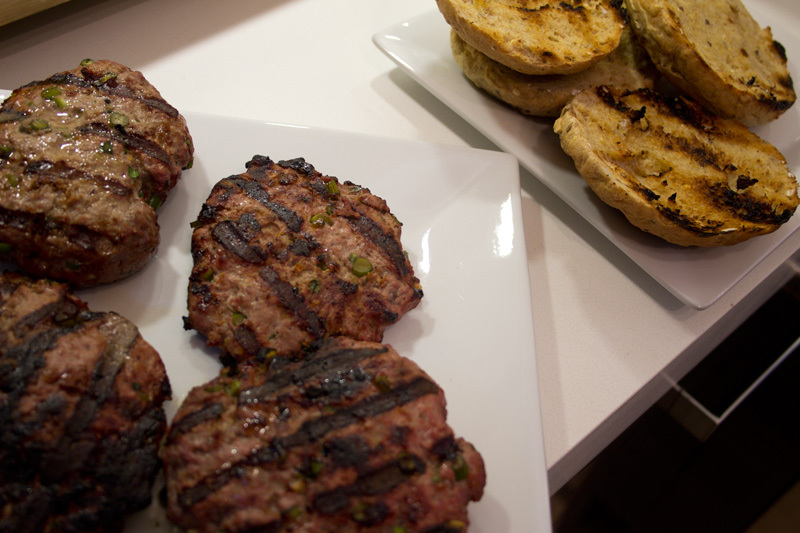 I put some scape bullets into burgers. You know, the way you might use onions in a burger. 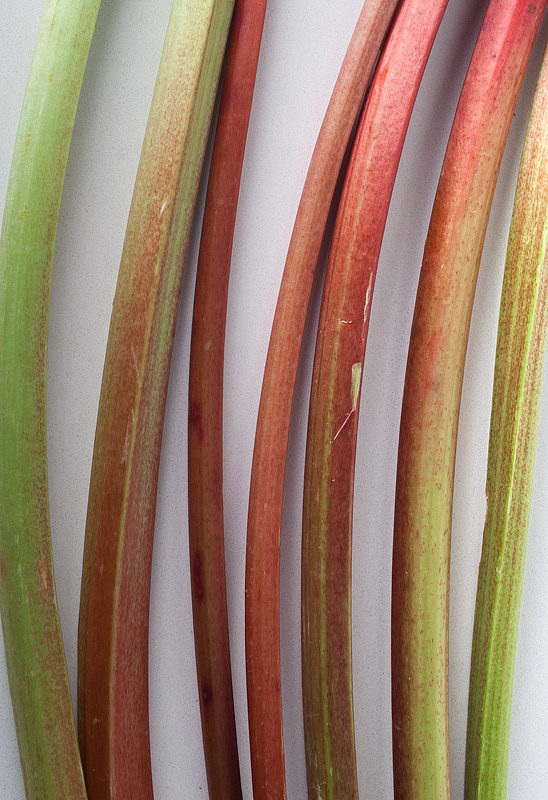 You don’t want to chop them too much, because an overcooked scape is a dreary scape. Make them like the picture, above. 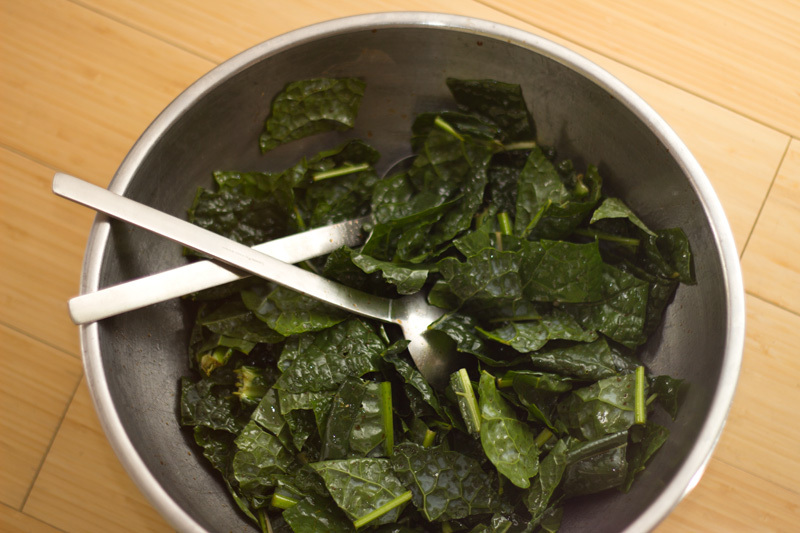 Grill them, grill your buns, top them with some Backyard Farm greens. 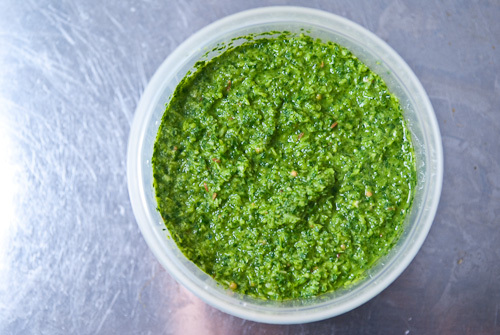 I also whipped up a pesto with scapes instead of the usual garlic, and a batch of spinach and basil that Kyla grew. 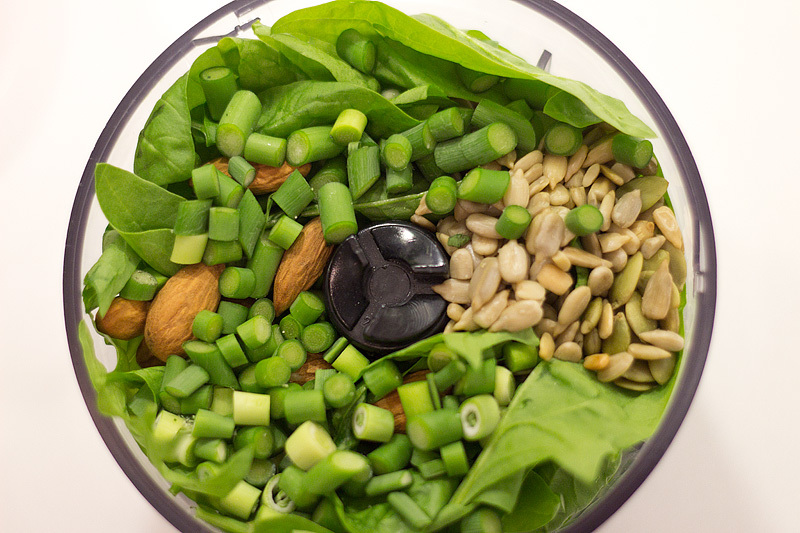 I put a handful of spinach and a handful of basil leaves into my little food chopper along with the scapes, and some almonds, sunflower seeds and pumpkin seeds (since I didn’t have the usual pine nuts or walnuts on hand). A big sploosh of a really nice California olive oil. A bunch of chunks of Parmesan. Lots of salt and pepper. Toss with spaghetti. Scape heaven! Here is a delicious recipe from Tharani – one of my lovely customers who usually buys three big bunches of cilantro – each week! 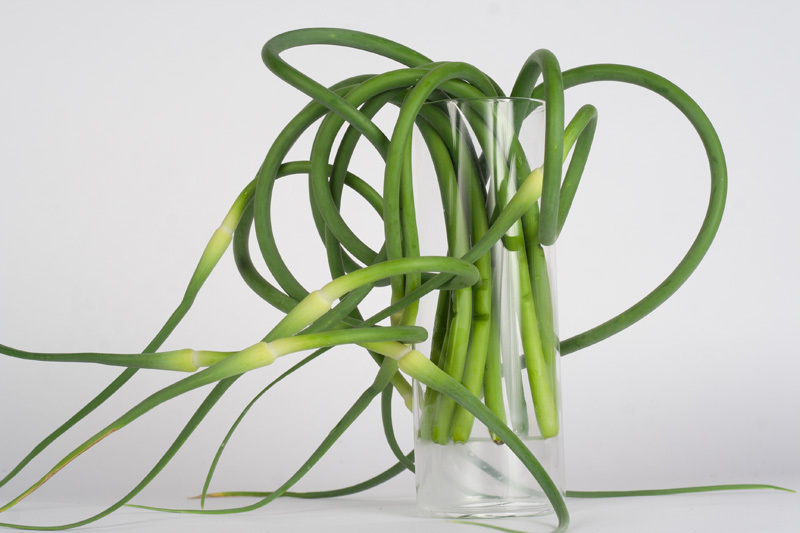 – along with whatever garlic item there may be (scapes, scallions, bulbs) also in bunches of three! Blend everything with a hand blender. Add fresh lime juice to taste and enjoy with a bowl of rice or even use the cilantro as a dip/chutney. 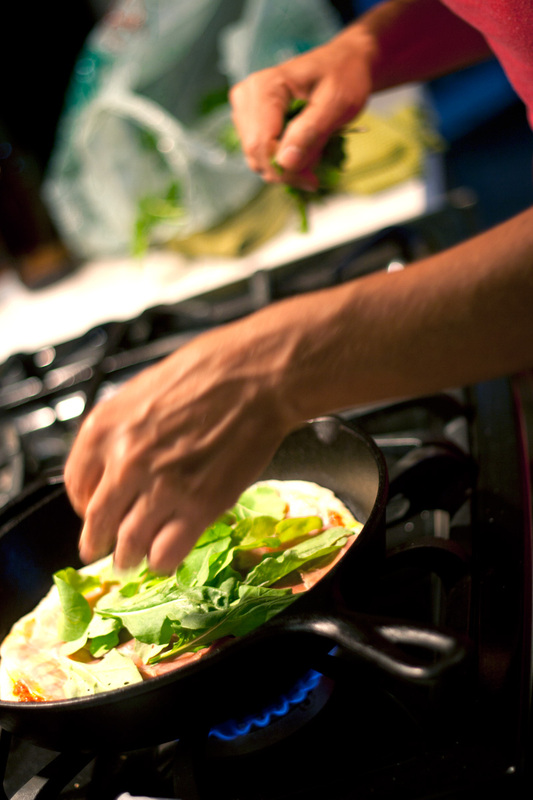 I always cook with my senses and never with a recipe…. well, sort of. In that quaint, suburban, sleeper town kinda’ way…. 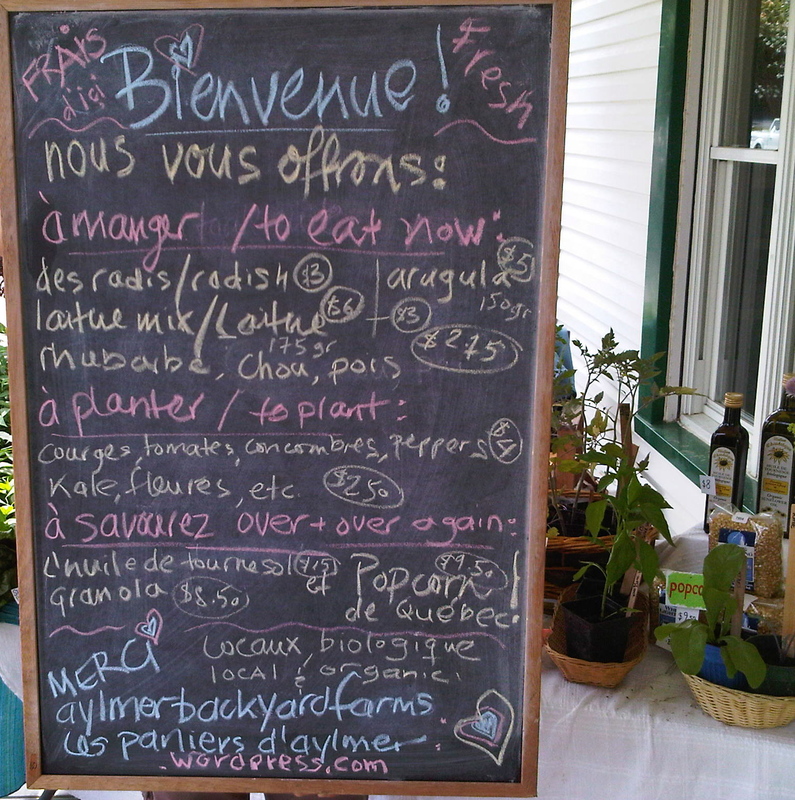 Aylmer Backyard Farms did a brisk business, June 2, from its location at the Boulangerie aux Desu Frères on Rue Principale. The produce sold there is organic “hyper-local” quality vegetables, herbs, flowers and other plants. Sylvain Ouellet purchased some Asian greens from owner Anne Jansen. 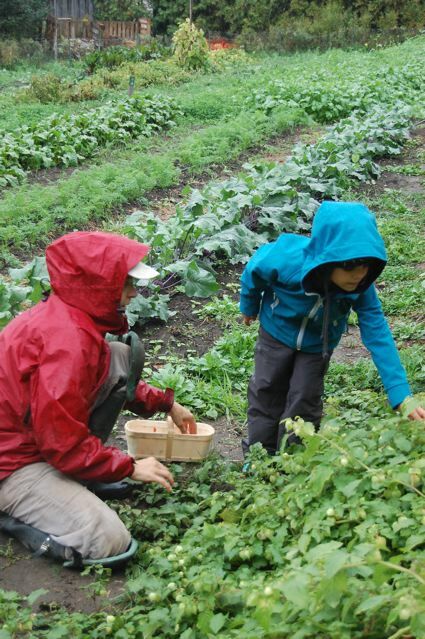 Mr Ouellet commented, “I love shopping at the small local businesses; there are a lot of them on Rue Principale.” Aylmer Backyard Farms is open on Saturday mornings next to the bakery throughout the summer. 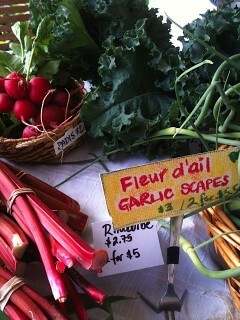 Mmmm, scapes! We had scapes and spring onions and some cilantro, and I was keen to hop on the taco bandwagon. All the hip kids are doing it. 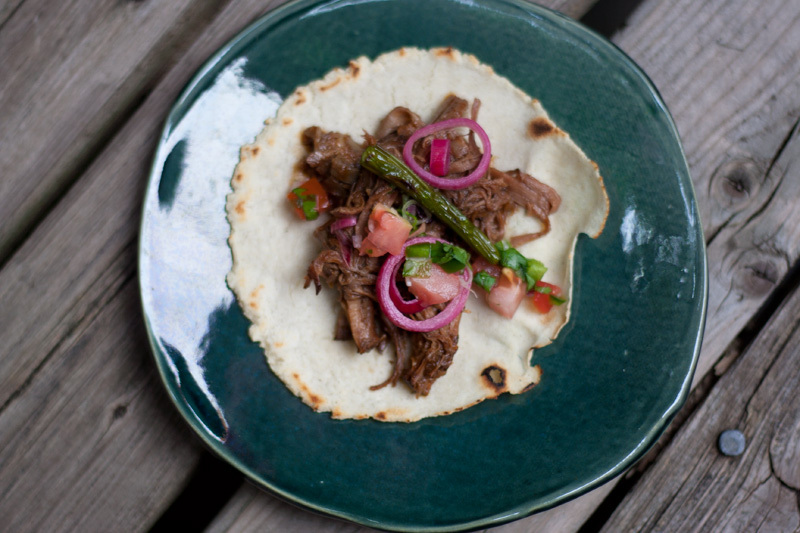 I bought a tortilla press and braised some beef short ribs in chicken stock and dried chilis. 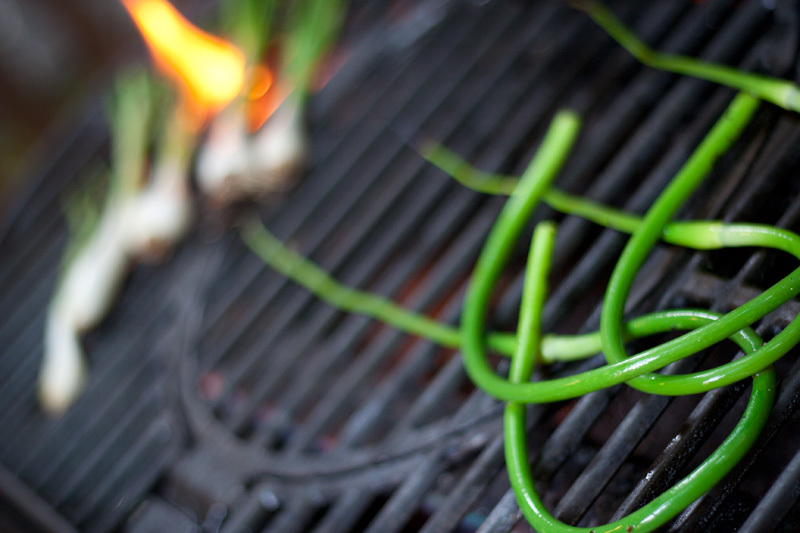 Toss the scapes with oil and pepper and salt, and put ’em on a hot grill. I did some onions too, while I was at it. 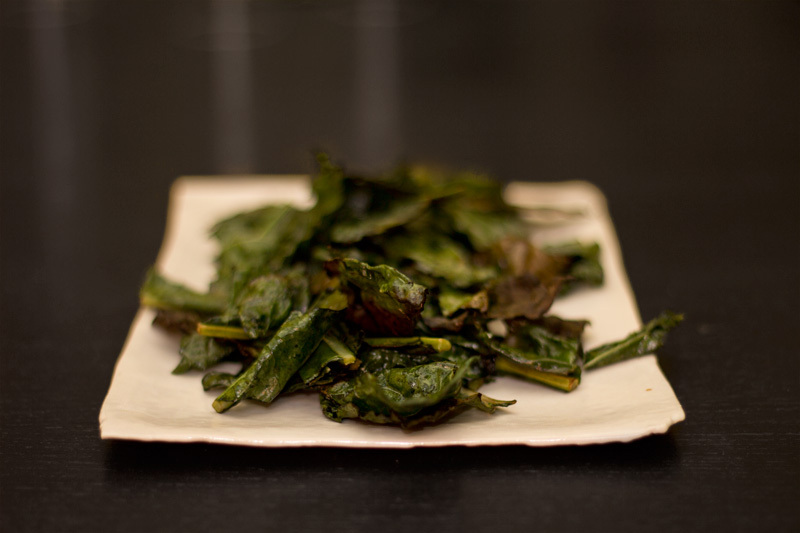 Don’t leave them on for long, or you’ll get little black scapes that taste like char. I’ve done it. More than once. 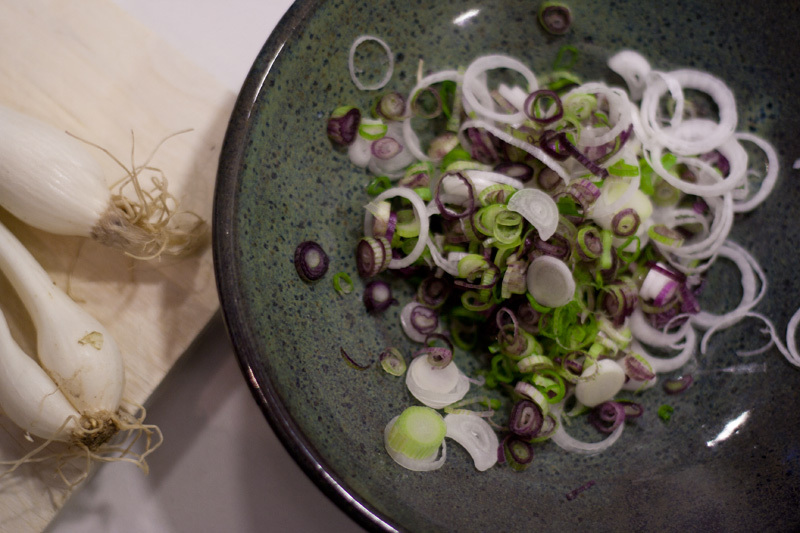 Thinly slice some red spring onions and combine with half a cup of apple cider vinegar, a teaspoon of sugar and a teaspoon of salt. 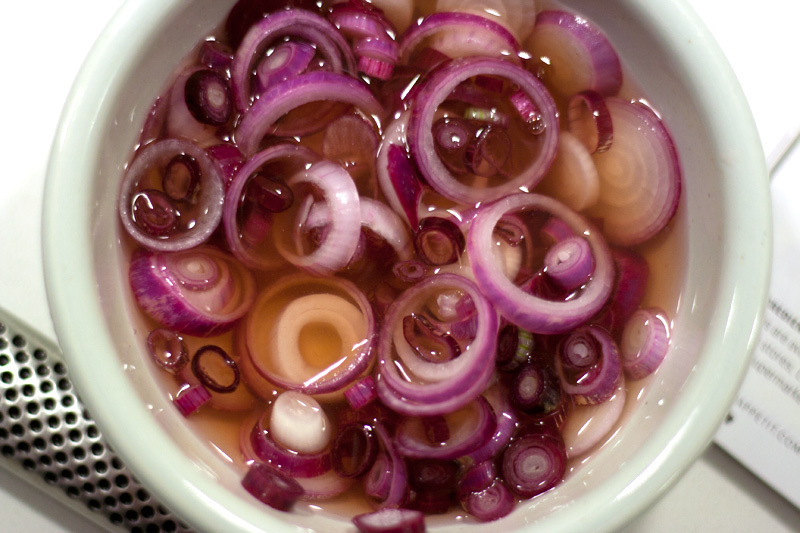 Voila; pickled onions! The salsa is just more spring onions, cilantro, tomato and a jalepeno. Cut up and combine. I’m having a bit of trouble getting my tortillas to look perfectly scorched, but I’m new to this whole corn tortilla business. Need more practice. Nevertheless, the result was delicious. We made this on a hot night in Ottawa when no one felt like cooking. 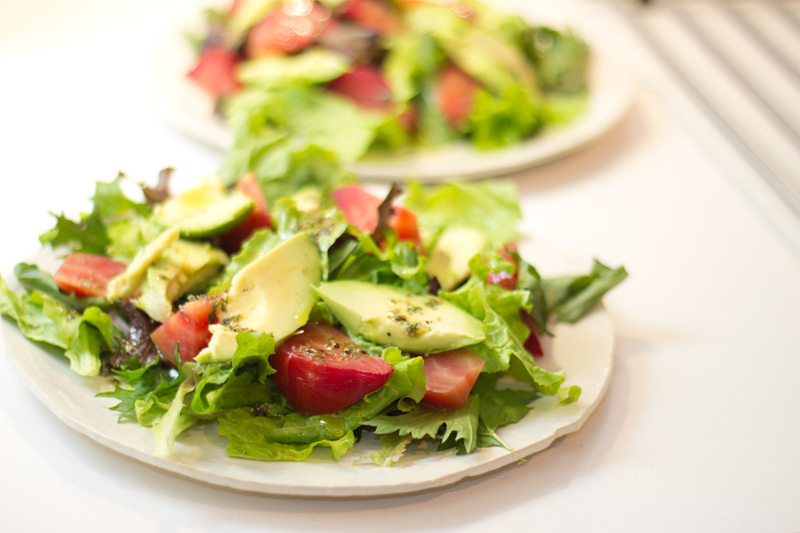 It’s a fast, lovely salad, with ingredients we had on hand. Use what you have in the kitchen! 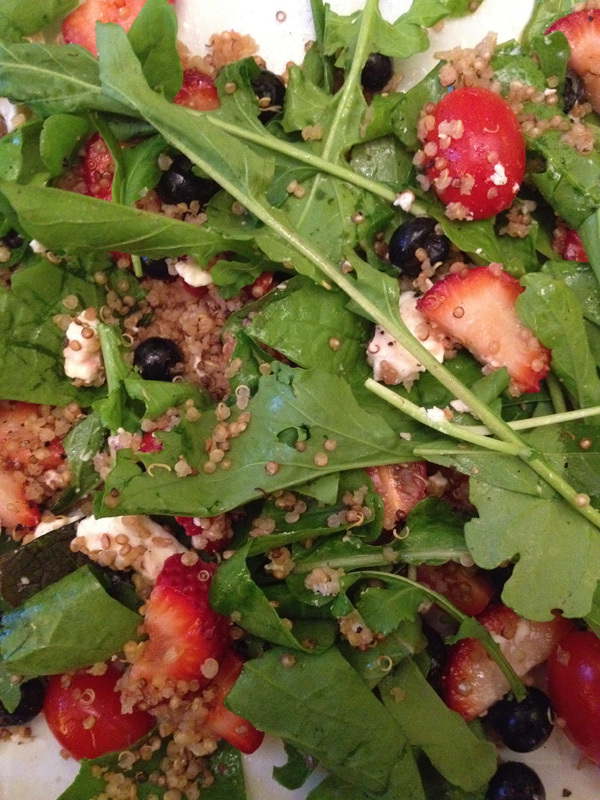 Substitute the arugula and strawberries for other greens or berries you may have. And the feta’s great, but goat cheese would work wonderfully too. The last couple of years, I have bought all my beautiful plants from Alex and Juniper (Juniper Farm) and Jack Lytle. 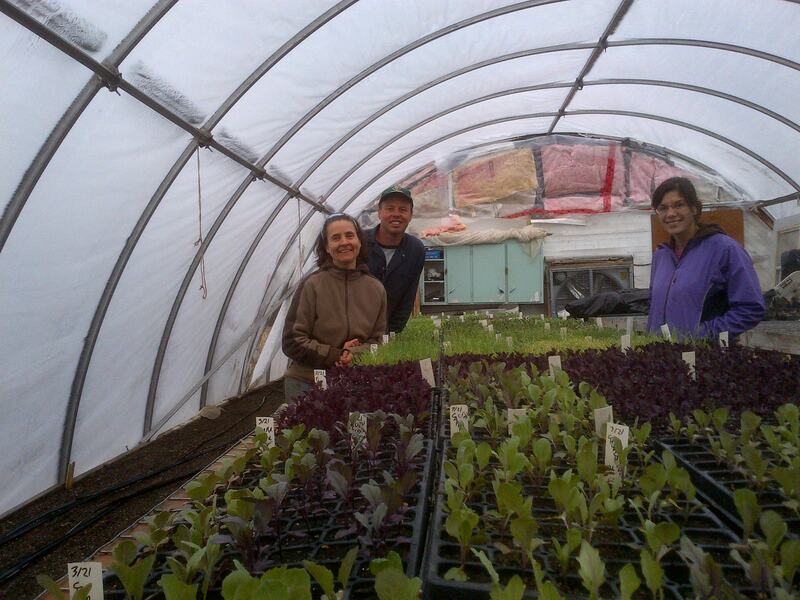 This year Jack and Rob Wallbridge (Songberry Organic Farm) grew all the seedlings. Alex, Jack and Rob are terrific organic farmers from this region. 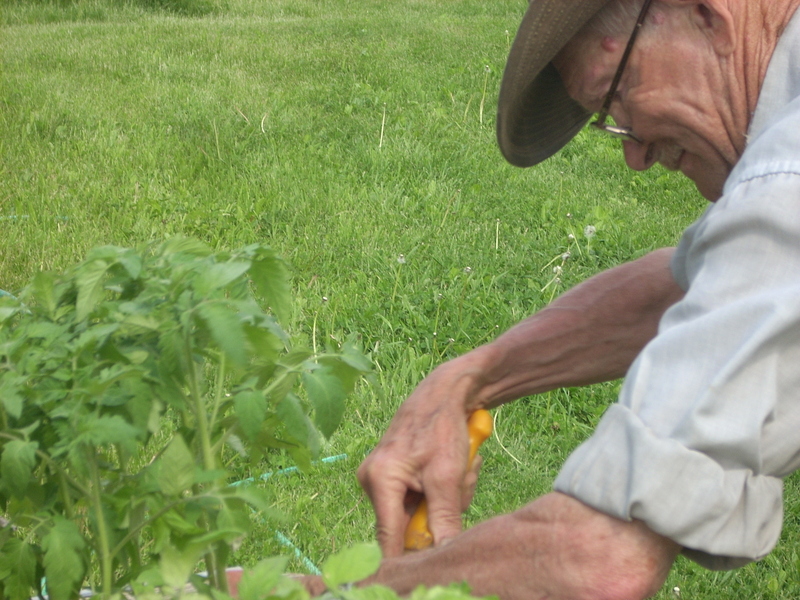 Jack has been farming organically for more than 40 years. Rob grew up on a farm. 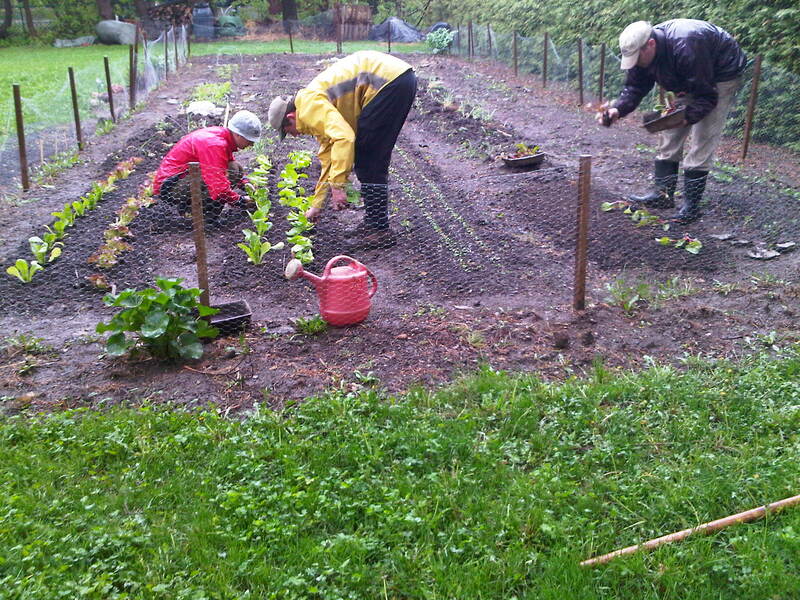 All their plants were grown in rich, nutritious compost and have now been transplanted into the gardens. Hopefully we set them off with sweet blessings that they will be healthy. The pests this spring have been intense – there is not one crop that has been spared the interest of one pest or another. 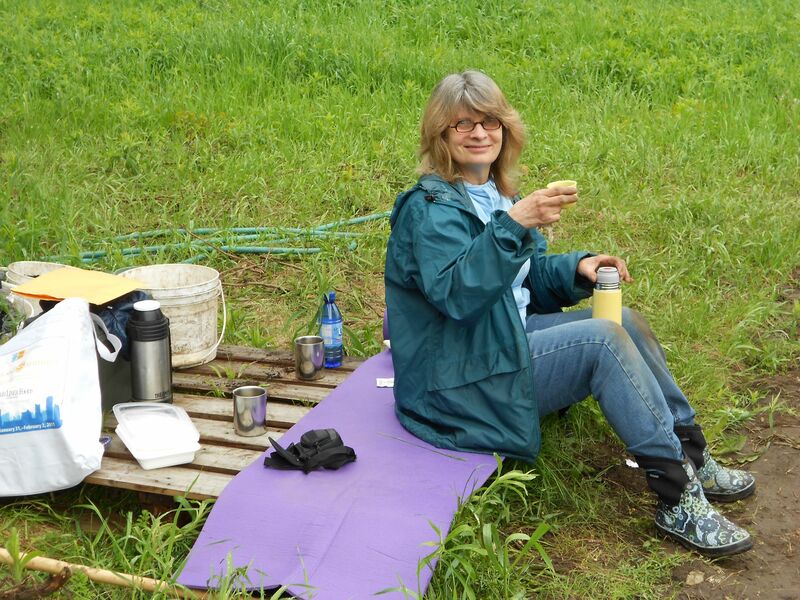 Ahh, not sure why I mentioned that since this post is about our May farm visits…. Leanne and my visit to Jack and Rob’s farms and Juniper’s visit to our gardens with her interns April and Sarah. Rob, Anne and Leanne in Rob’s greenhouse. Photo taken by Rob’s lovely, young daughter, Jasmine. 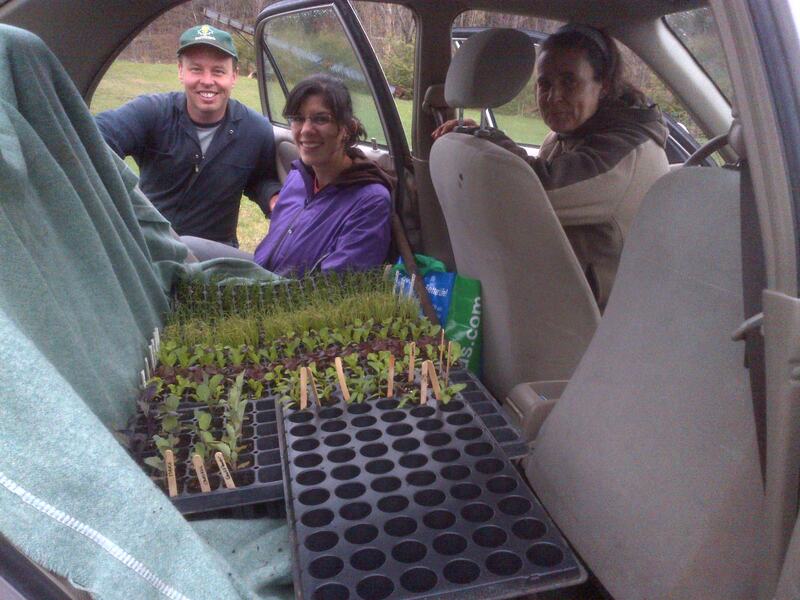 From greenhouse to Corolla. The boot was packed full too. 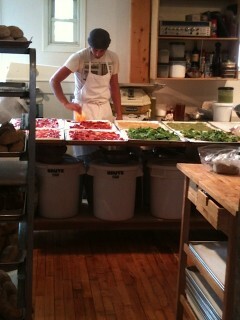 Jack cutting the tomatoes out of flats. 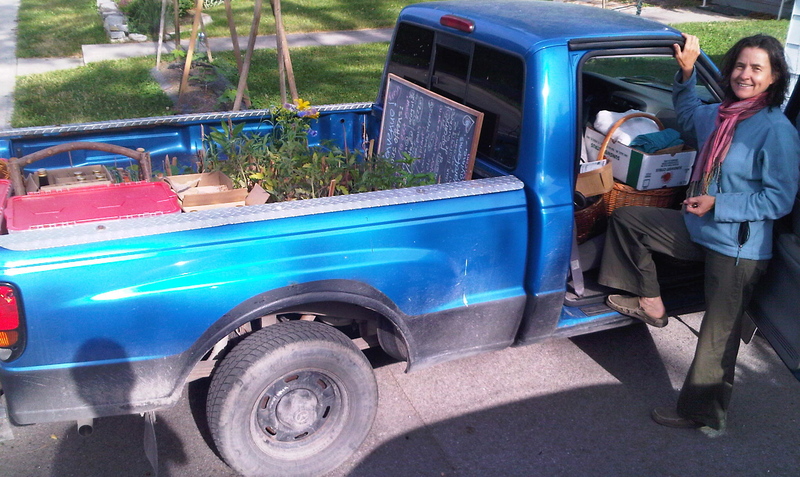 Leanne and Jack sorting out which tomatoes we are taking (beside one of Jack’s truck of tomato transplants). Juniper (with Raphael) at the Eardley plot. 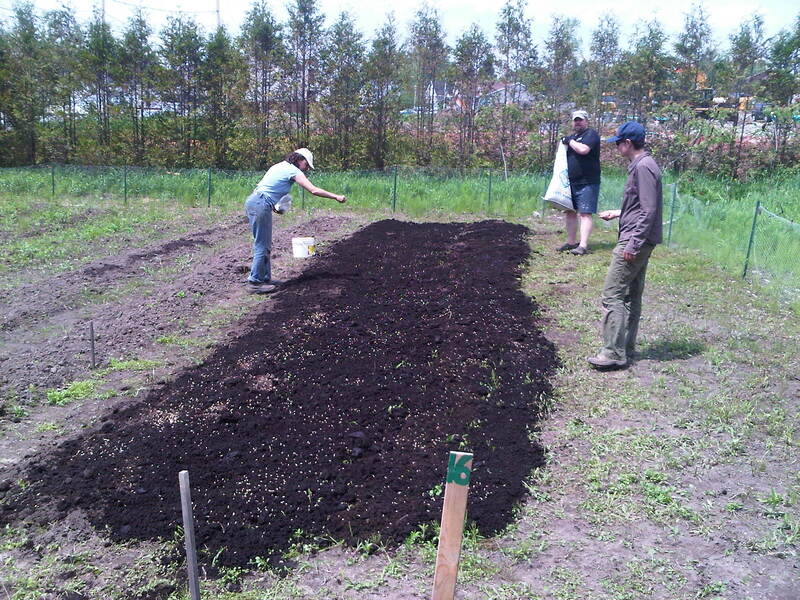 Sarah and April from Juniper Farm join Tyler and Leanne to dig in the alfalfa – the urban garden way: by hand. Juniper and April at the Brook plot. 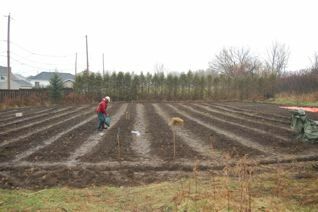 I have been wanting to introduce the 2012 farm team for several weeks now but it has been too busy outside to work on it. Today is a rainy day and the internet is actually working, so here follow a few pictures of this great team: Dora, Kayla, Kyla, Leanne, Mathilde, Sarah and Tyler. Hana also comes out and volunteers regularly for a couple of hours while Rhona and Anja helped us kick off the season. 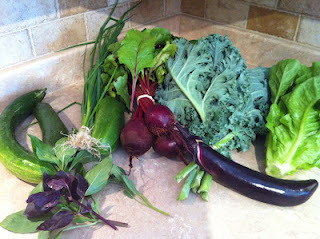 Leanne is tracking her Backyard Farming Extravaganza on her Sustainable Eating blog. Anja blogged about her time on the farm. Check out Organic Occurances. 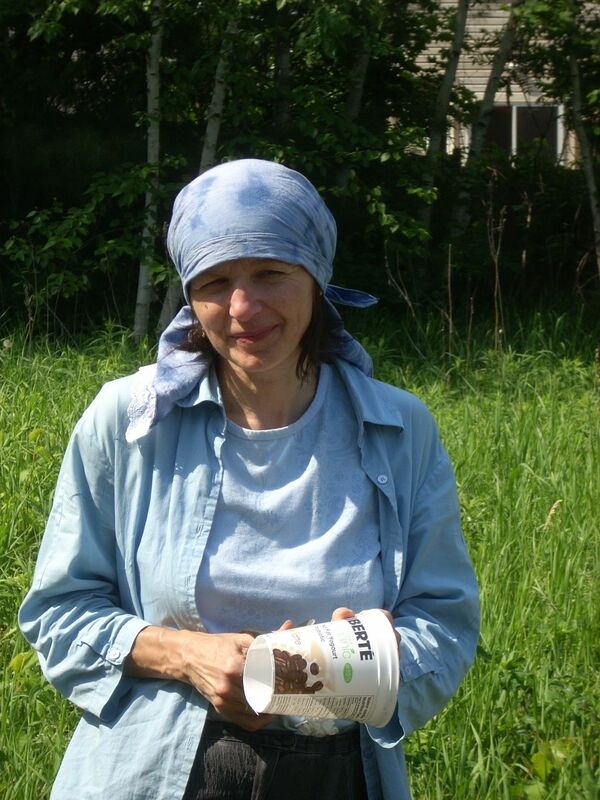 Hana cutting yoghurt containers as plant collars to protect from the cutworm. Mathilde showing off our fine carpentry skills. 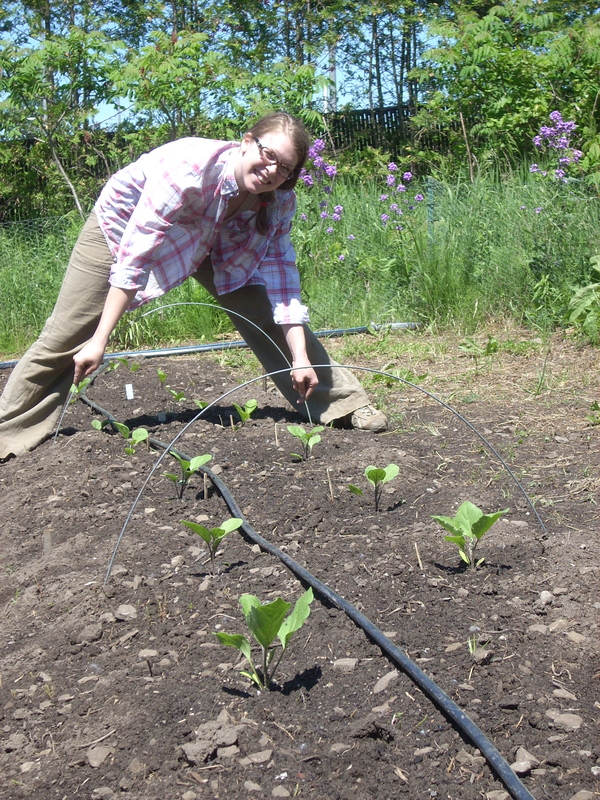 This is now our cuke trellis…! And here are some more random shots of the gang in action. 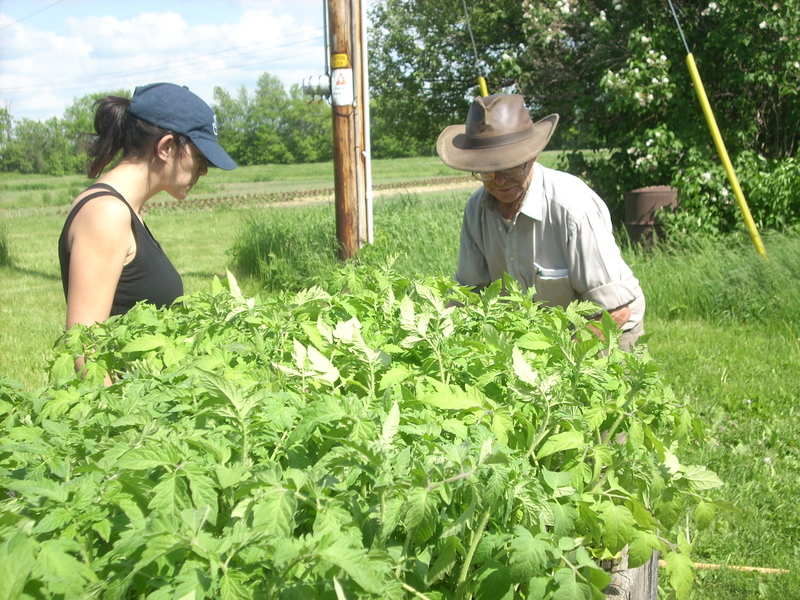 Leanne and farmer Jack labeling the tomato seedlings. Banana Break?! Anja, Kyla, Anne and Rachelle. 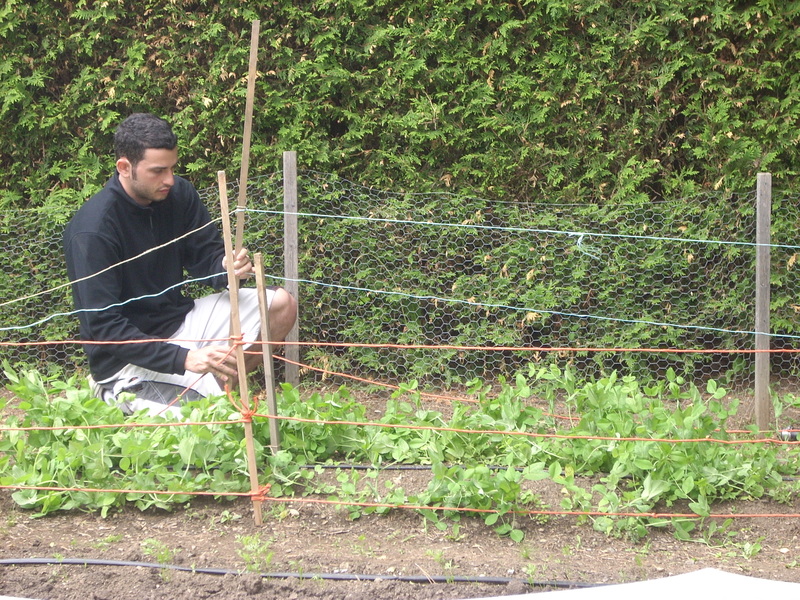 Tyler building a pea support. Peanut Butter Sandwich Break?! Anja, Sarah and Kayla. Kyla getting out the quack grass. we are very happy to be carrying this wonderful new product…there is only one other supplier in the region (in Ottawa) so come out on Saturday and get a jar. Medium Amber certified organic maple syrup. Regular maple syrup goes for the same price at all the local grocery stores while organic sells for around $13+. This should really not be the main attraction, but I know we all like a good deal! 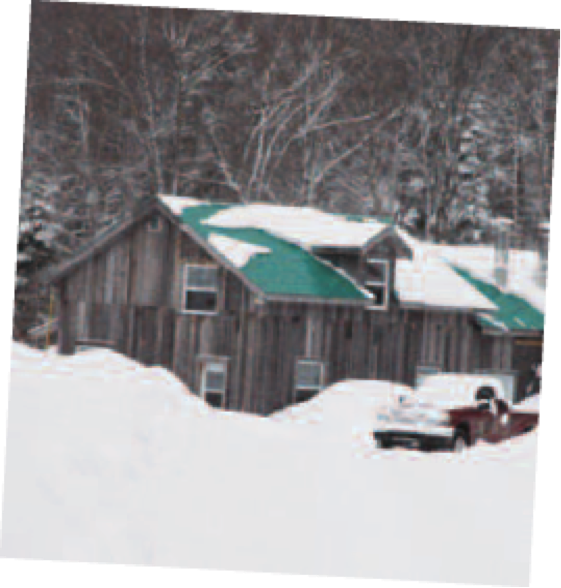 Brigitte Turcot et Martin Roy inherited their family’s sugar bush near Mont Tremblant. and started producing maple syrup in 2009. 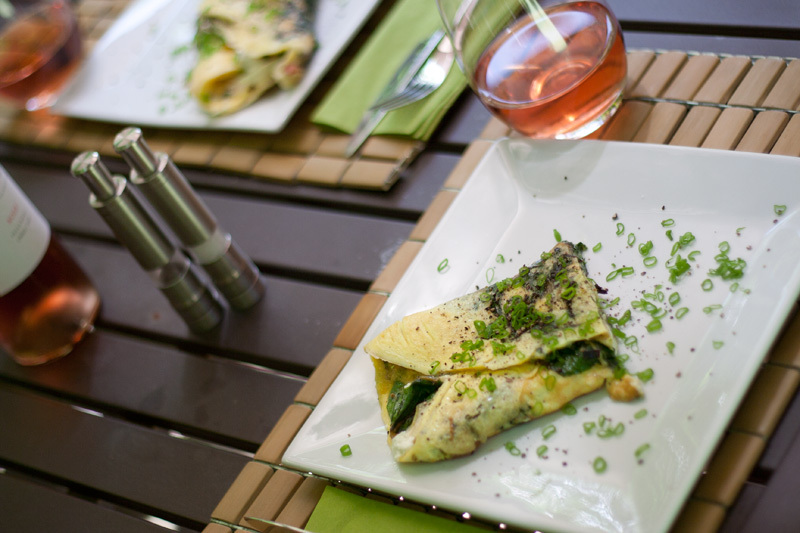 Why choose organic maple syrup? Strict organic guidelines include limiting the number of taps per tree, ensuring diversity in the forest to ensure farmers don’t cut down other competing tree species, using only stainless steel tanks and boilers and using all-natural cleaning products on the equipment. Check out this article about my good friends, Alex and Juniper, who are doing great things for food and their greater community. This was written by Laura Robins of The Ottawa Citizen. 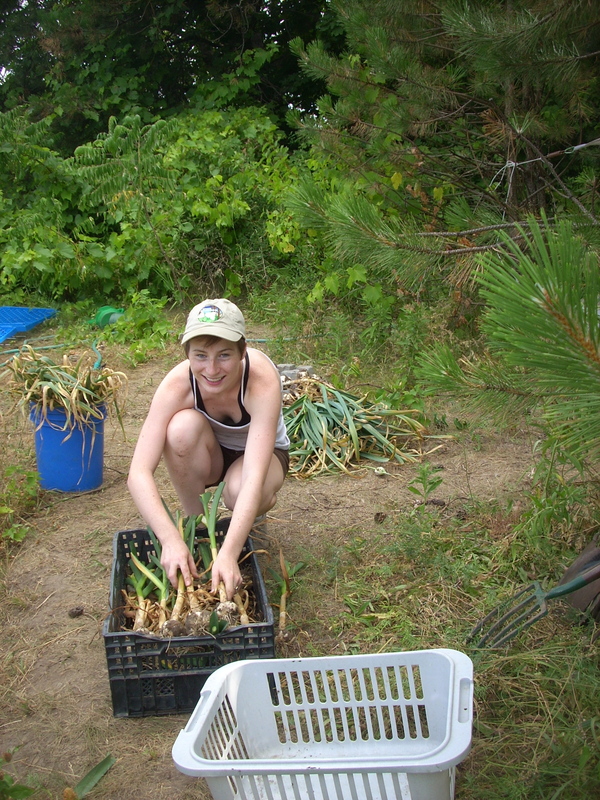 Laura is a great writer and supporter of local food and the people who grow it. 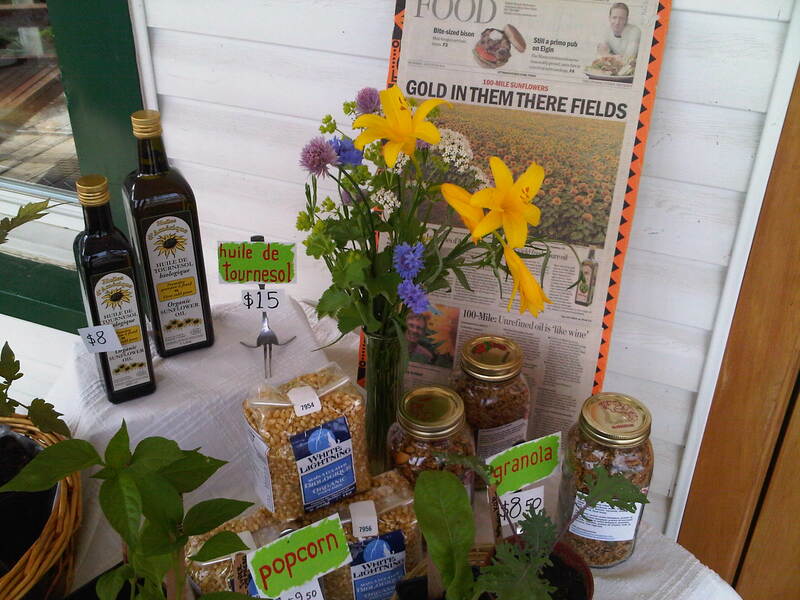 If you are in Aylmer, you can take your own locavore challenge… Aylmer Backyard Farms makes it easy. 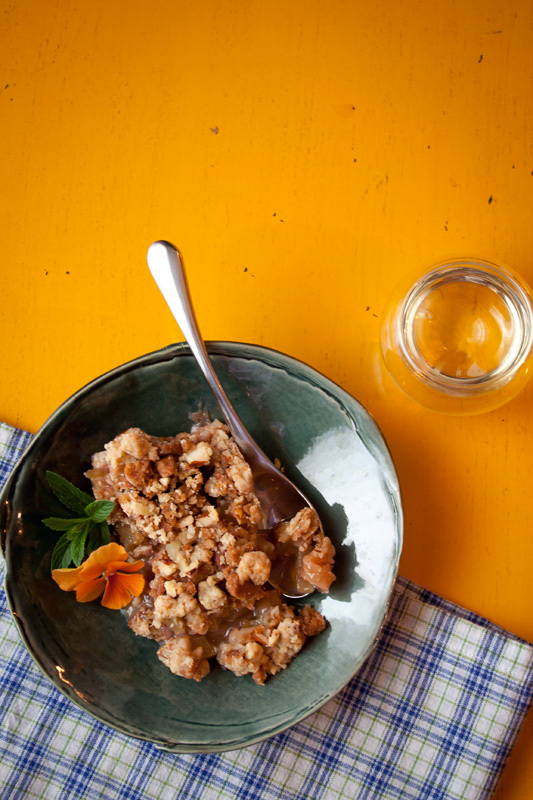 Aside from our hyper-local vegetables that are sold within a 5 km radius from where they are grown, we too carry Quebec organic maple syrup, blue popcorn, granola and sunflower oil. Yummy. Click here to have a look at our products. 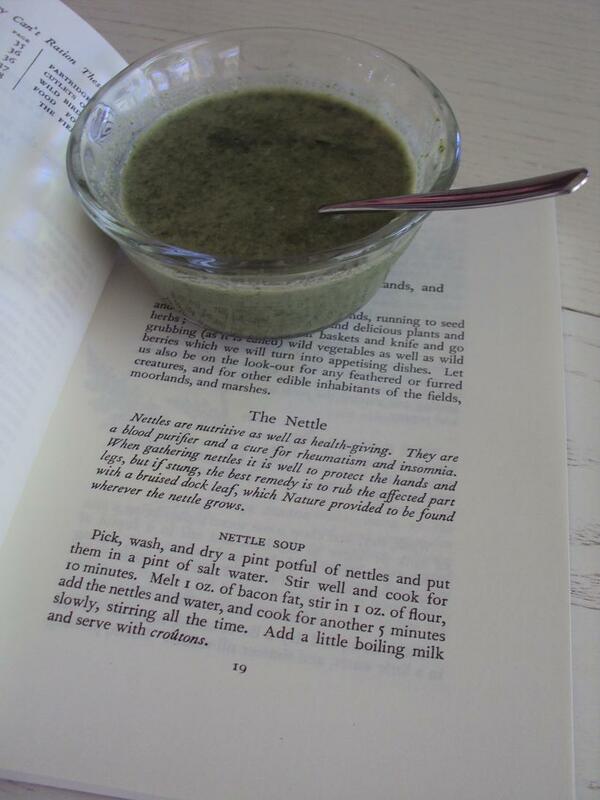 Dora, one of the 2012 farm team, picked some nettles from the Eardley field last week and made a delicious soup with them. I thought you might like this…. The book is titled They can’t ration these. It was published in the UK during the second world war. 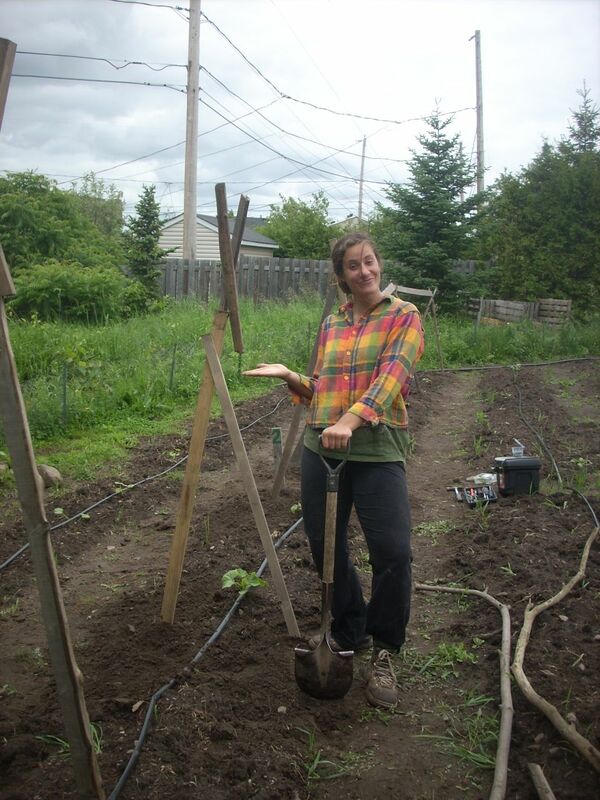 From May 3 – 13, we were lucky enough to have Rachelle Premack, a Katimavik volunteer living and working with us in the gardens. 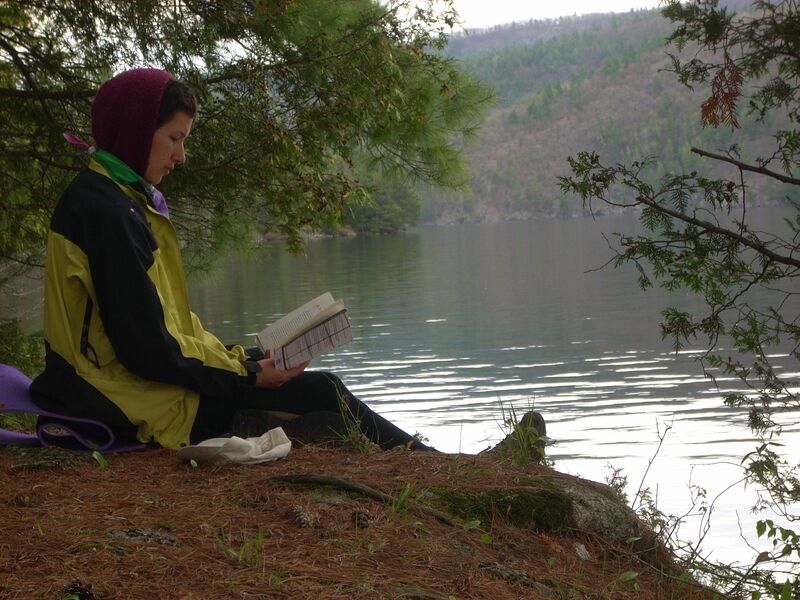 Unfortunately, Rachelle is one of the last of her kind: Katimavik was just axed by the Harper government. Here is her story (and a couple of her photos). 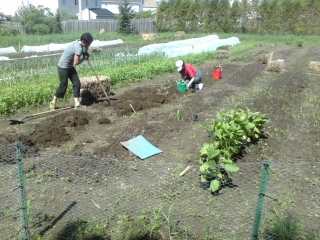 For the past ten days, I had the pleasure of billeting with Anne & Andrew at Aylmer Backyard Farms. 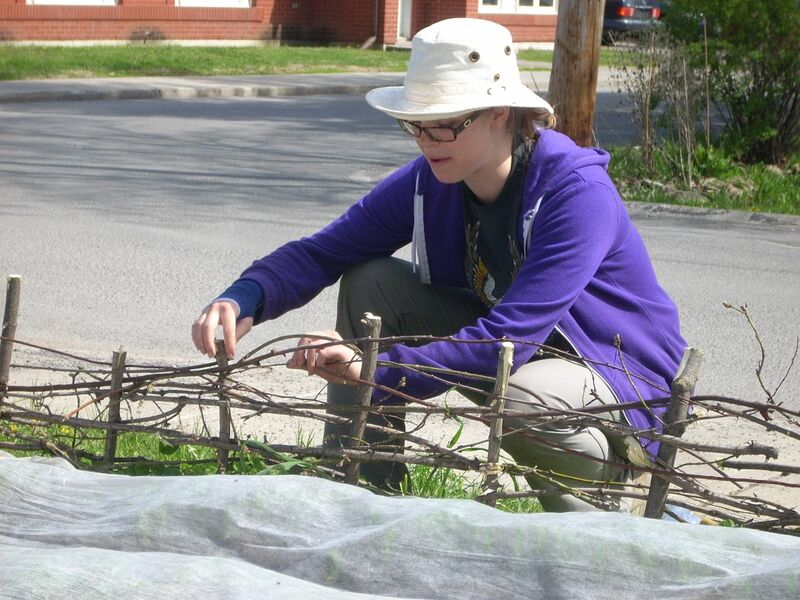 I am a Katimavik volunteer currently living in Ottawa from Brandon, Manitoba. 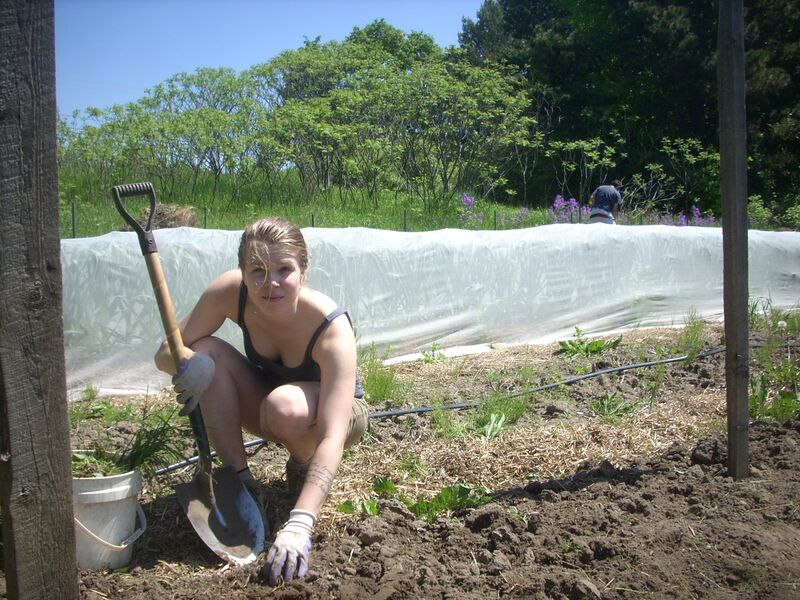 Part of the Eco-citizenship Active Living Katimavik program is placement on an organic and sustainable farm. I was lucky because all of the Backyard plots are in Aylmer which is all new to me, my first time being in Quebec! 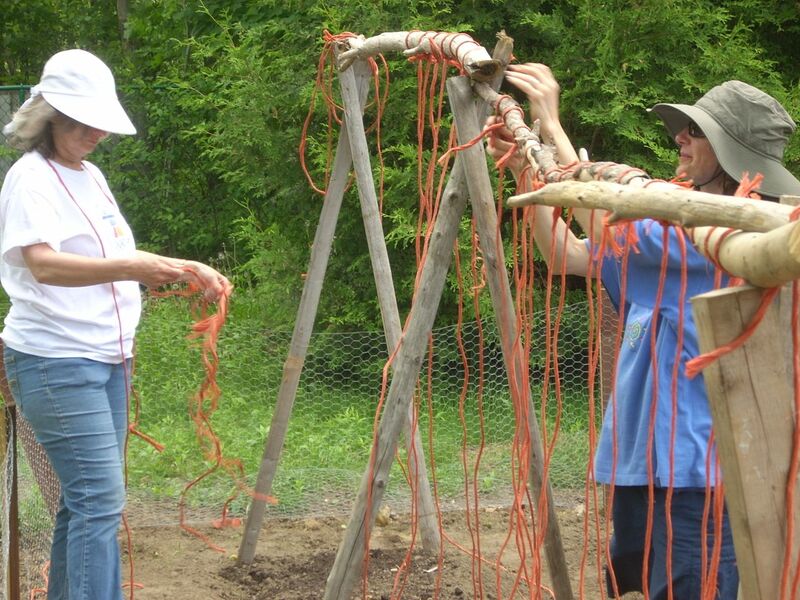 The first plot I saw was on Brook and already had carrots, kale, and lettuce started with Kohlrabi to be planted mañana (one the words I learned from Anne. It’s spanish and means in the future or sometime soon). The second garden and the largest I went to work was Eardley. 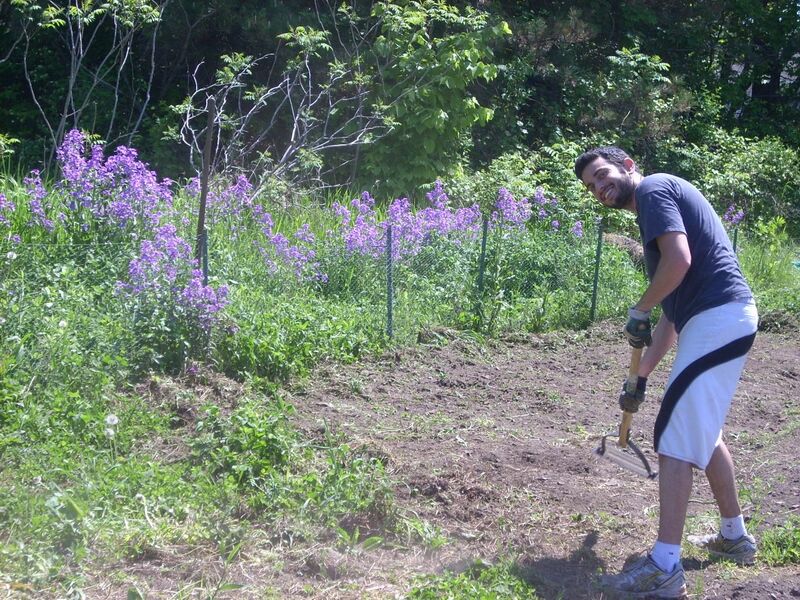 At Eardley I dug up weeds, and used a hand tool for weed whacking (the amazon tool I liked to call it!). 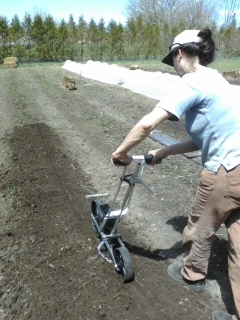 Here we also transplanted kale and swiss chard among the other plants already growing. The last plot I met was my favourite. I went to Crescent for the first time for a full day worker bee. 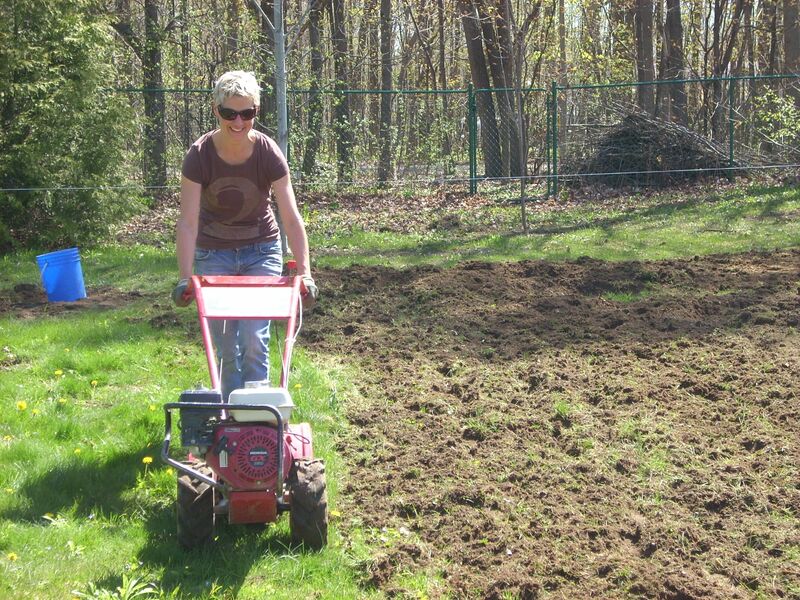 It was a Saturday, and when we first arrived on site, it was simply an expansive backyard of green lawn which the home owner admitted didn’t have much purpose so, we tilled it back into earth! 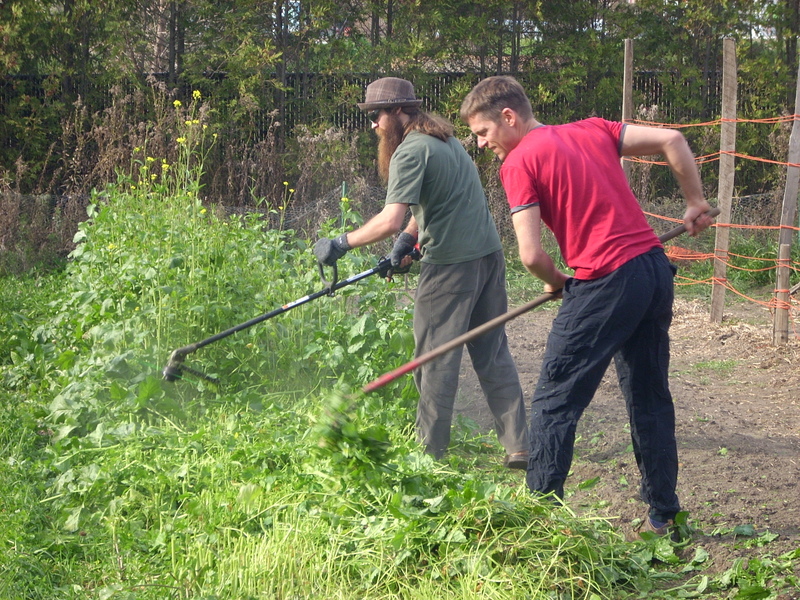 There were about ten volunteers between the morning and afternoon. We dug up patches of quack grass by hand with spades and hori hori knives, squashed pesty white grubs, rototilled, dug trenches, hammered in fence posts, and stapled up chicken wire and voila, we had a plot. 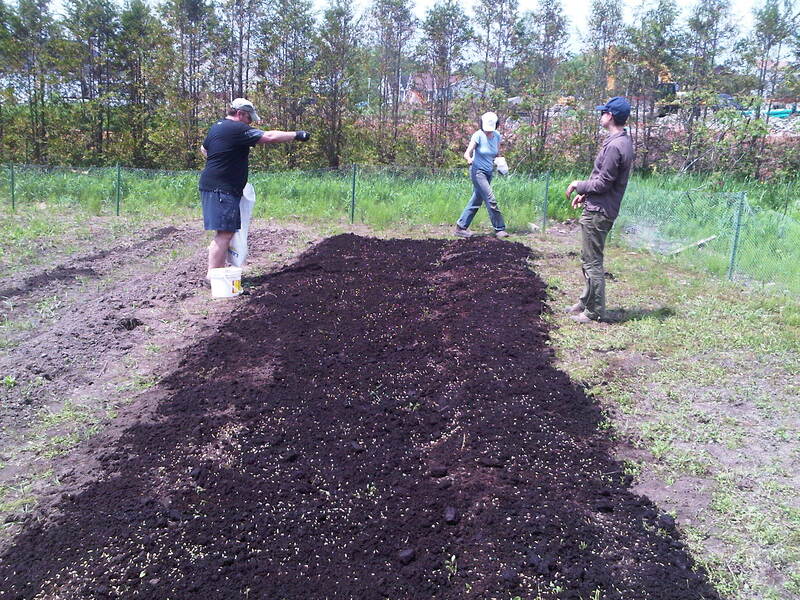 Approximately 2,500 square feet of earth for veggies! 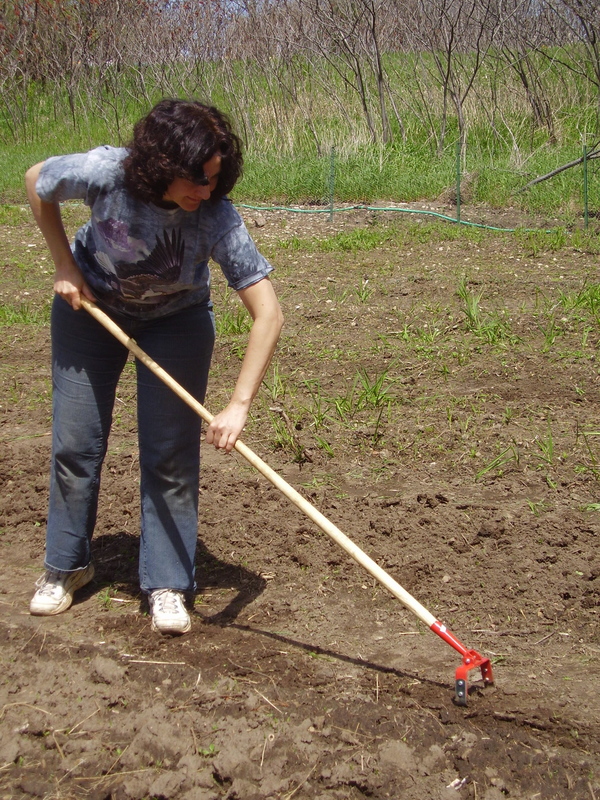 The other days that Anne, the interns, volunteers and I went to the « Crescent » garden plot were spent measuring and raking the paths and rows, and spreading compost on afterward. 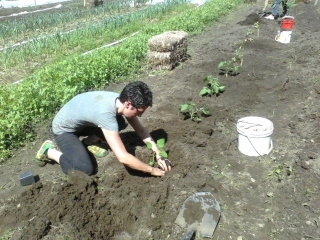 While I was there we even transplanted in a row of cauliflower! I was satisfied to see the creation of a plot and see it through to the first plant. The worker bee was even covered by the Aylmer Bulletin! 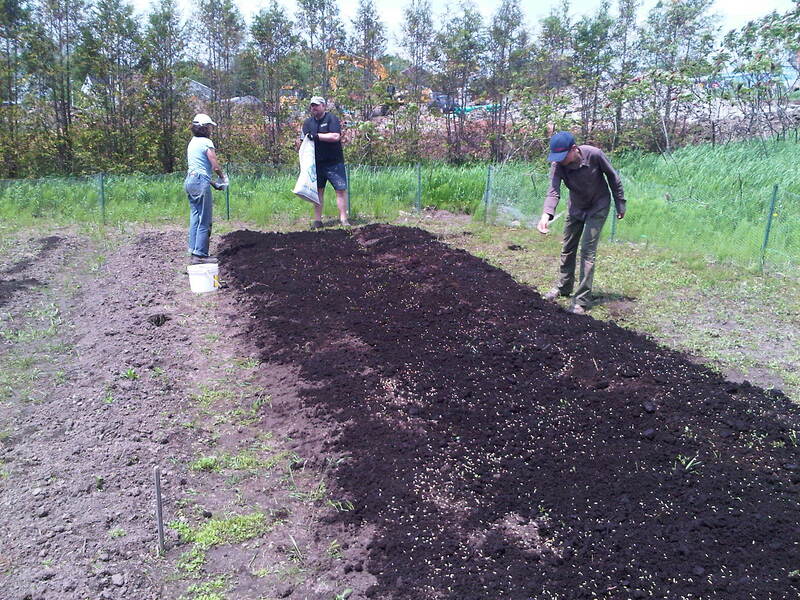 Check it out here: http://www.bulletinaylmer.com/en/2012/05/09/english-aylmer-backyard-farms-grows-a-new-backyard/. 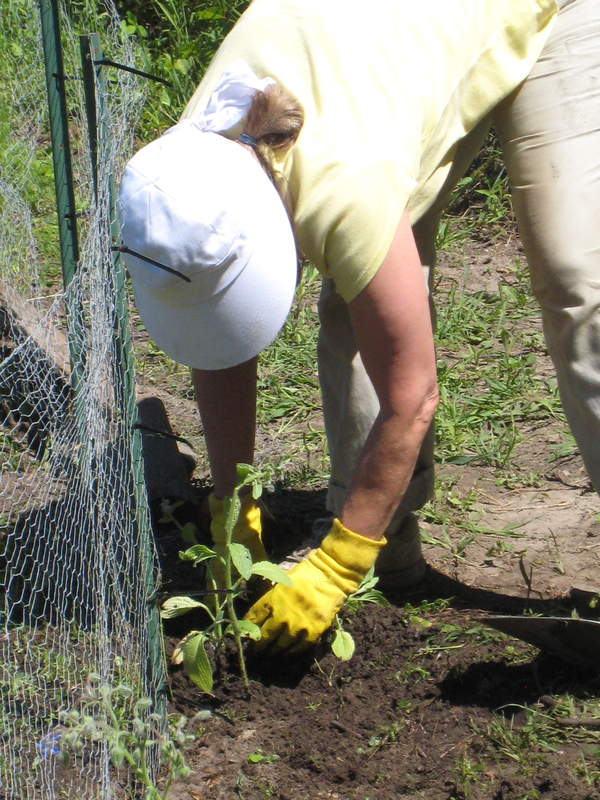 Overall, volunteering for a CSA is a great hands on, educational experience which can bring people together with one common goal: to grow! 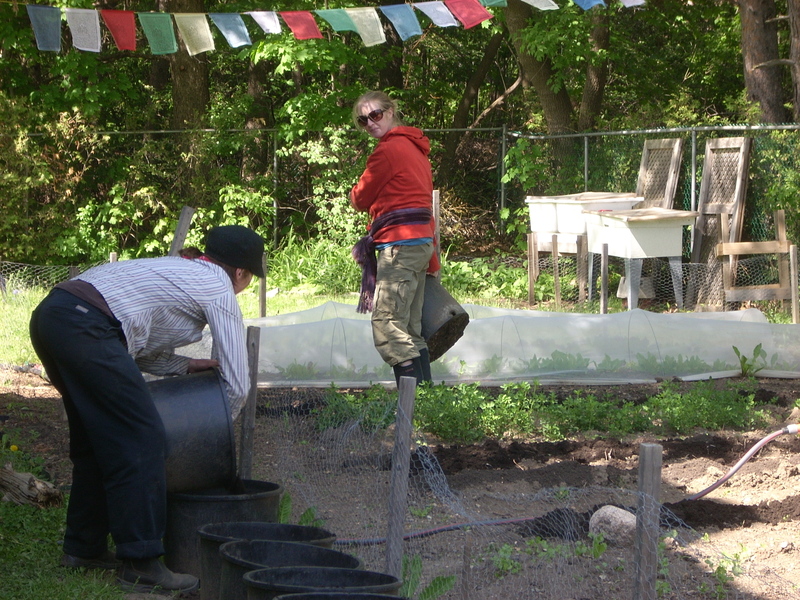 I am grateful for my time with Anne and Andrew at the Backyard Farms. 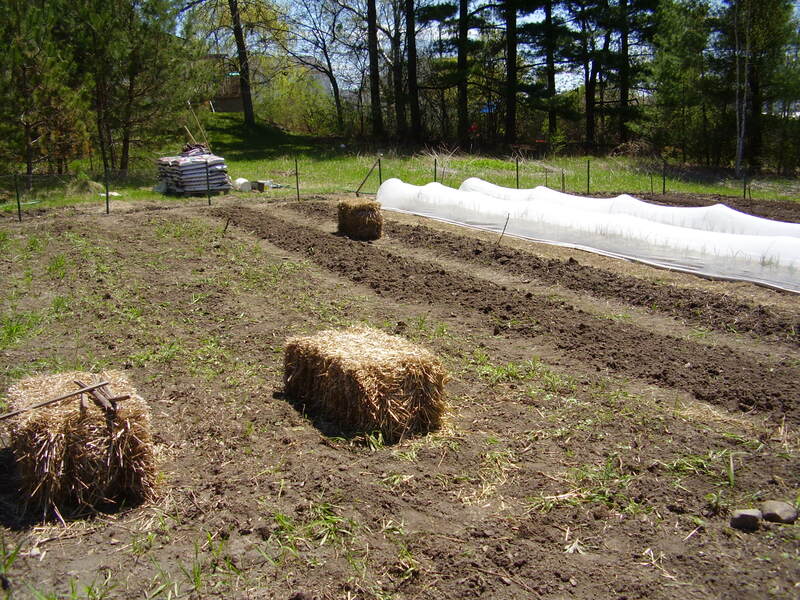 Aylmer Backyard Farms describes itself as an “urban farm” and has been in operation for over three years. 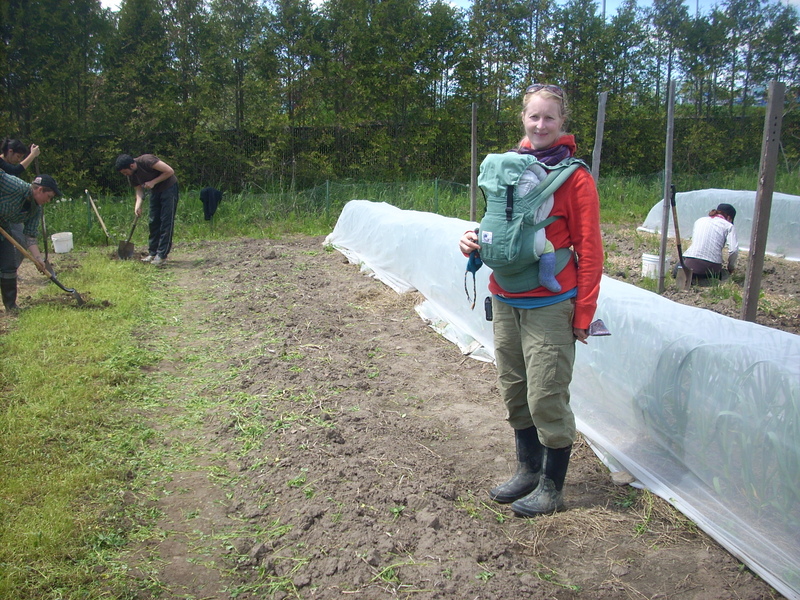 Head farmer Anne Janssen, along with her team of interns and volunteers, creates large organic gardens in select Aylmer yards, of which the Gill’s property is her third. Janssen’s goal is to produce organic food that is grown, sold and eaten in Aylmer. 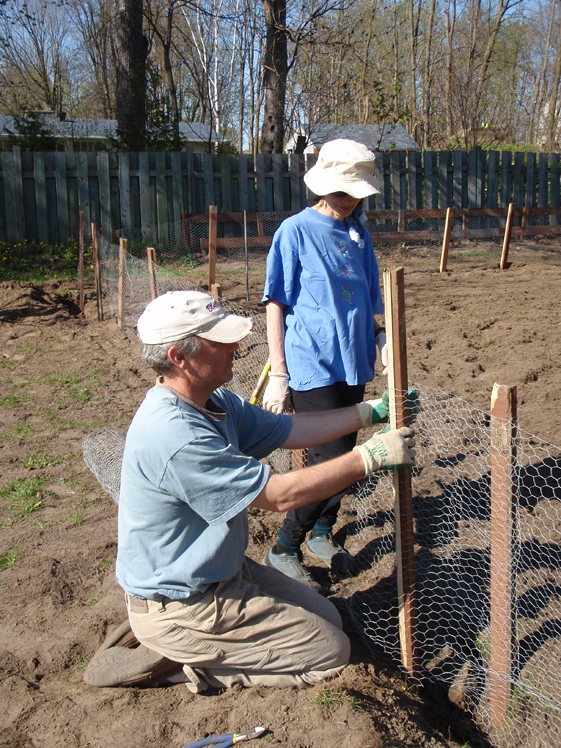 Hana Krchnakova and Andrew building fence gate. Photo KK, Aylmer Bulletin. 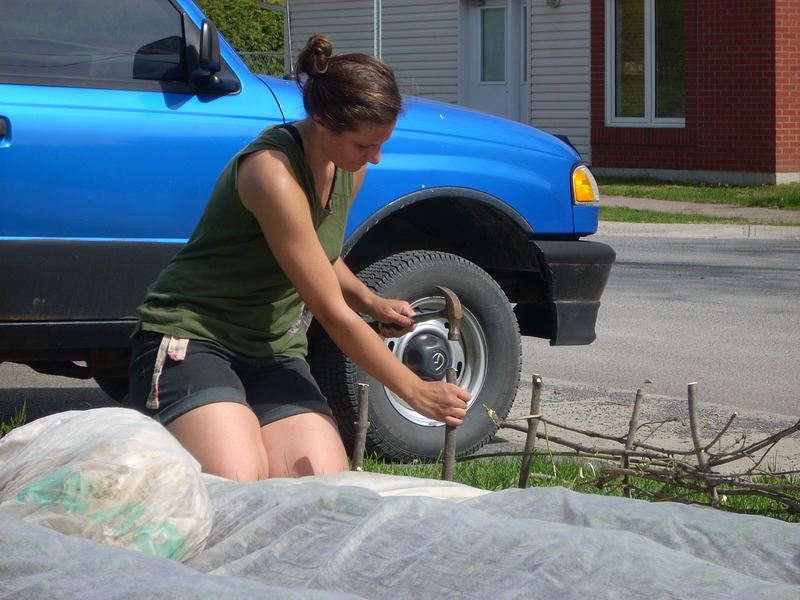 Sarah Good, a Carleton University student who is interning with the farm for the summer was impressed with the amount of work done in a single day. 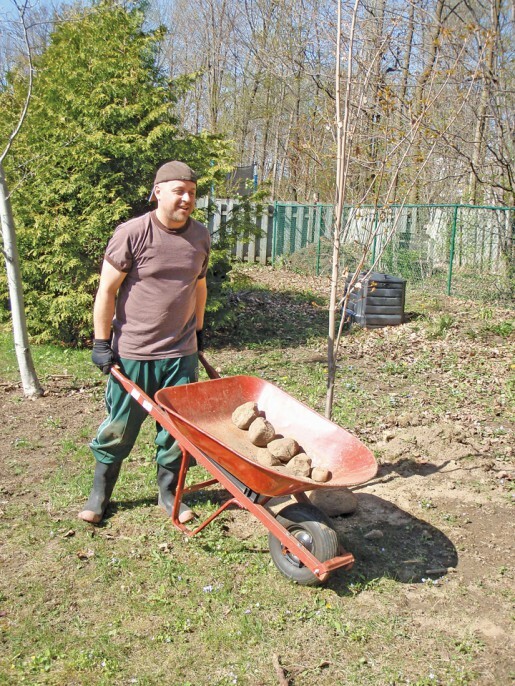 “When we arrived this morning, the entire yard was mostly grass, and now we’re looking at a garden that is essentially ready to go,” she told the Bulletin. 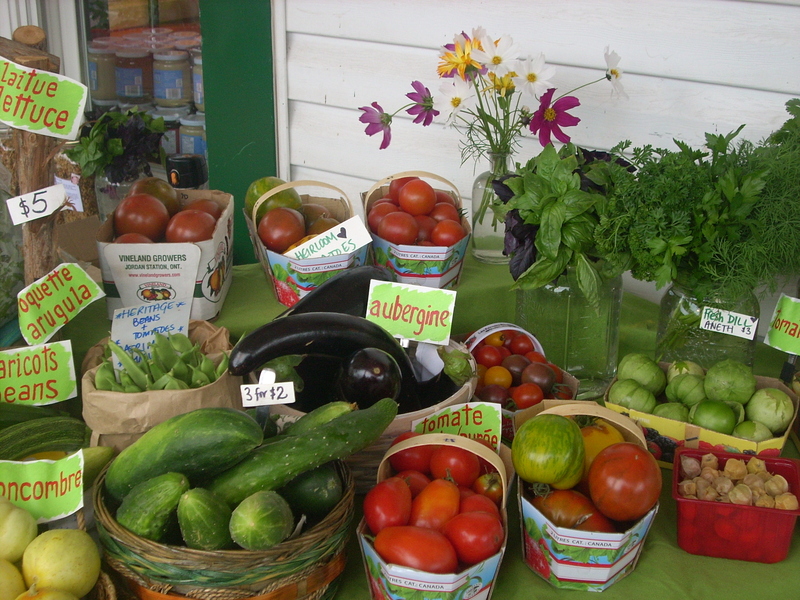 Aylmer Backyard Farms’ local organic produce can be purchased Saturdays at Boulangerie aux Deux Frères. Nous sommes heureux d’annoncer que cette année les Paniers d’Aylmer offriront un panier hebdomadaire pour les résidents et résidentes d’Aylmer. Nous lançons l’Agriculture Soutenu par la Communauté (ASC) avec des légumes cultivés et distribués ici au cœur d’Aylmer. À partir de la dernière semaine de juin, nous offrirons un nombre limité de paniers «urbains» à notre communauté. 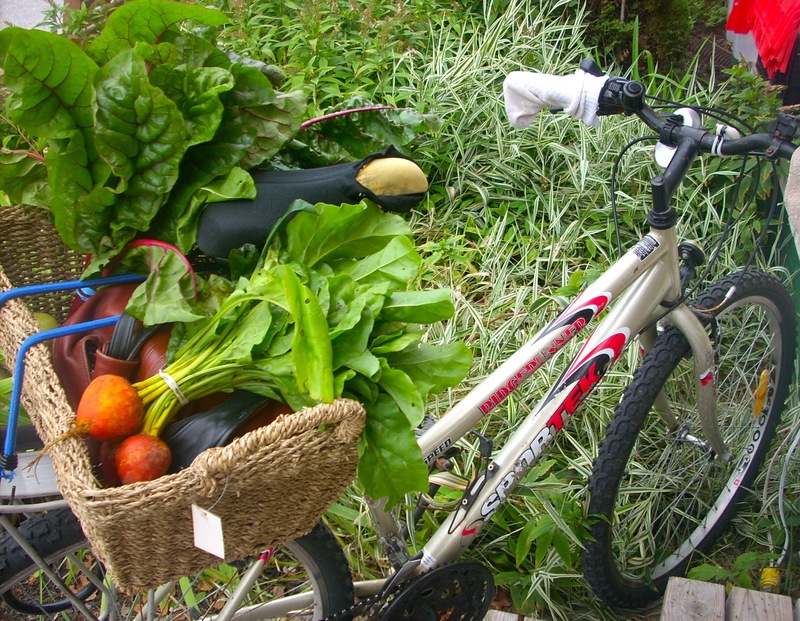 Un panier urbain, contrairement aux paniers ruraux, s’adressent aux personnes et familles qui ne peuvent tout simplement pas manger tous les légumes des paniers offerts par les agriculteurs ruraux ou qui veulent juste un échantillon du butin alimentaire local chaque semaine. Nous nous concentrons sur les légumes qui peuvent être cultivés dans les petits espaces et qui ont un goût délicieux ! Si vous êtes intéressés à faire un pas de plus pour manger de bons produits locaux et saisonniers, voici votre chance. 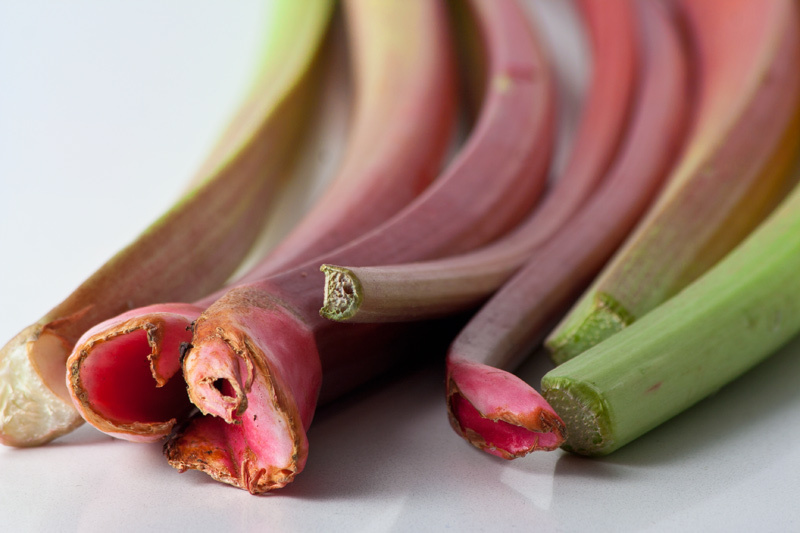 Dans le cadre de notre ASC, vous recevrez des recettes et des conseils sur la façon de manger toutes les bonnes choses qui proviennent de nos jardins, et ce pendant toute la saison. Vous êtes également invités à vous joindre à nos activités agricoles si le coeur vous en dit. Inscrivez-vous dès aujourd’hui pour recevoir à toutes les semaines un panier de légumes délicieux, hyper locaux et biologiques (non certifié). S’il vous plaît voir nos paniers urbains pour plus d’informations. Voulez-vous apprendre à cultiver votre propre nourriture, ou encore faire un pas de plus vers la vocation de fermier? 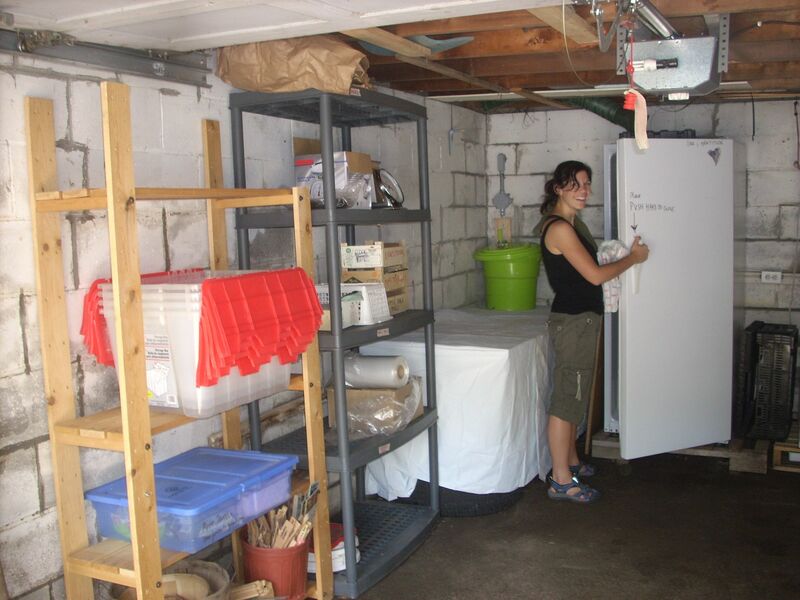 Les Paniers d’Aylmer, ferme urbaine et biologique (non-certifiée), offre un stage agricole à temps partiel tout au long de la saison pendant lequel vous pourrez vous immerger dans le monde de l’agriculture urbaine écologique. Ce stage est idéal pour ceux et celles qui sont enracinés dans la ville, mais qui veulent s’impliquer davantage dans le monde des fermes et légumes ultra locaux! Grâce aux travaux de jardinage et aux discussions, les stagiaires seront exposés à divers aspects de l’agriculture biologique urbaine, y compris: l’entretien des plantes, la préparation et la santé du sol, la lutte antiparasitaire, les engrais verts et la fumure, la planification et le marketing. En tant que stagiaire potentiel, vous devez être prêt (e) à vous engager à consacrer un ou deux jours complets par semaine (à la ferme de 7h45-4h15pm) du début mai jusqu’à la mi-octobre, et accepter en retour l’acquisition de compétences et de connaissances agricoles, ainsi que des légumes biologiques. Comme cette ferme n’est pas résidentielle, aucun logement n’est disponible sur le site. Pour plus de renseignements et pour vous apostuler, svp suivez le lien à partage du travail. 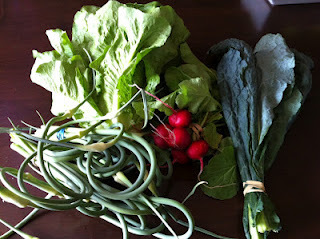 Do you want to grow veggies? 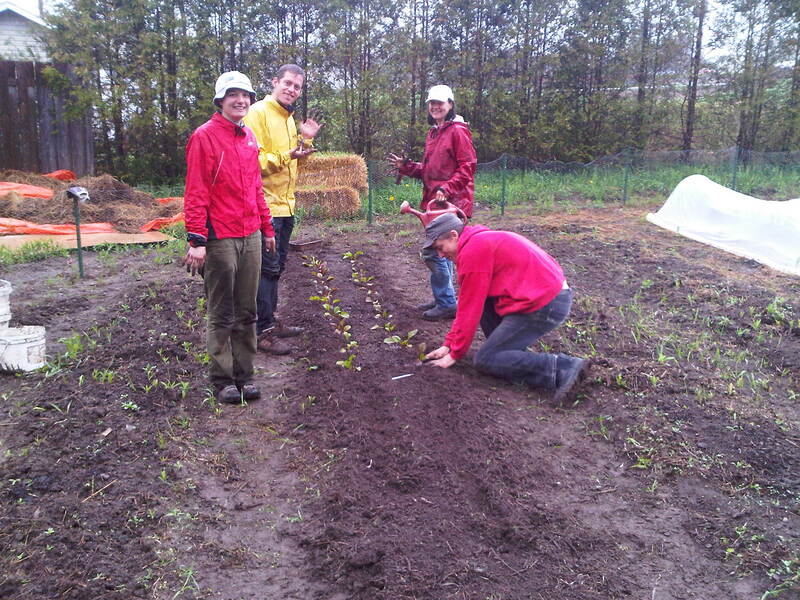 The days are getting longer and in less than two months we will probably start to smell the earth again…before then we’d like to have Aylmer Backyard Farm’s 2012 farm team in place. 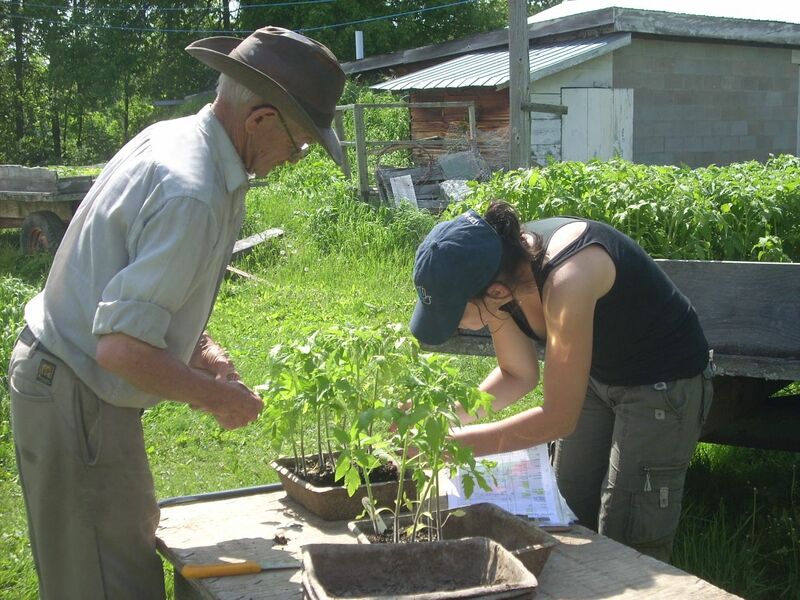 If you are a wannabe farmer, someone who loves to garden, interested in learning, have a healthy appetite for delicious vegetables or just want to spend a good amount of your summer working outdoors, you might be interested in joining our 2012 workshare program. 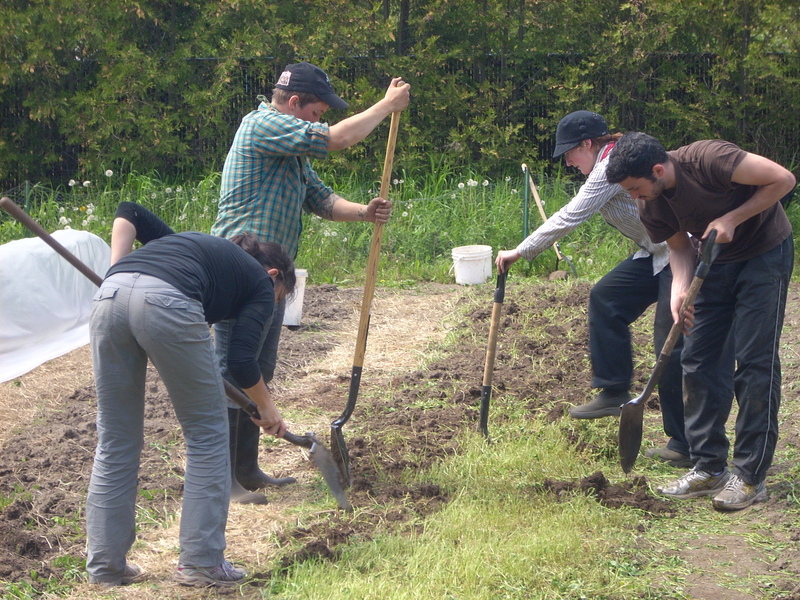 Our workshare is no small commitment: you work a half to two days per week for 22 weeks, in return for hands-on-learning, a great experience, the fresh outdoors AND a weekly basket of fresh veggies. 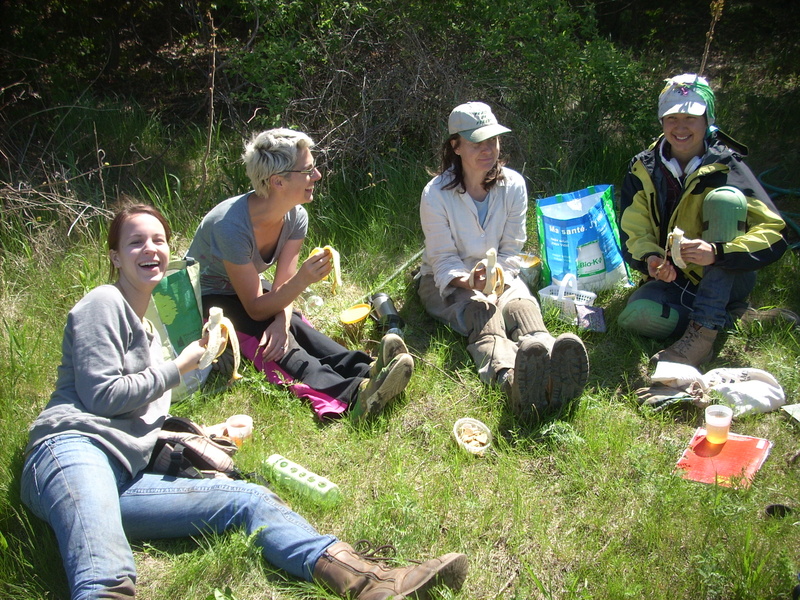 And while you are on the site, look around for pictures from last year’s summer and farm team activities. 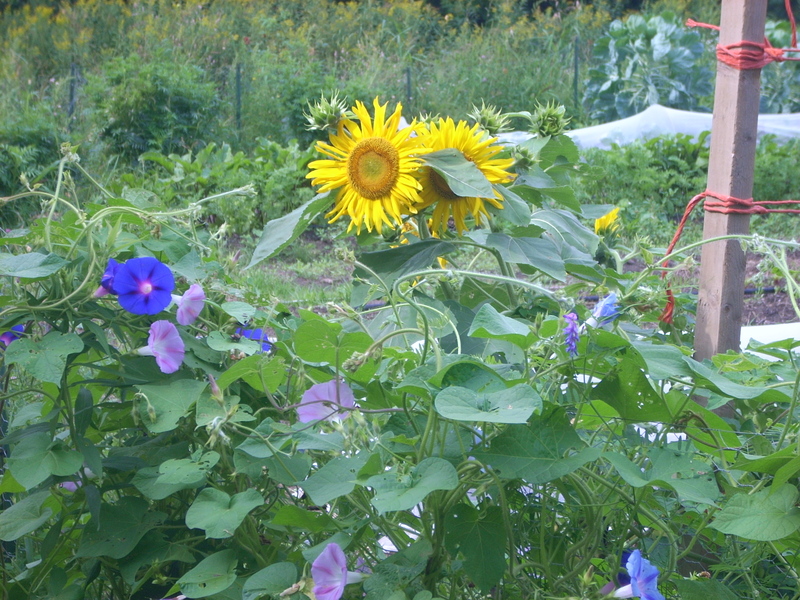 Where is our food grown, how is it grown, who grows it? What are the benefits and advantages of eating home-grown food and supporting quality local and regional food production? 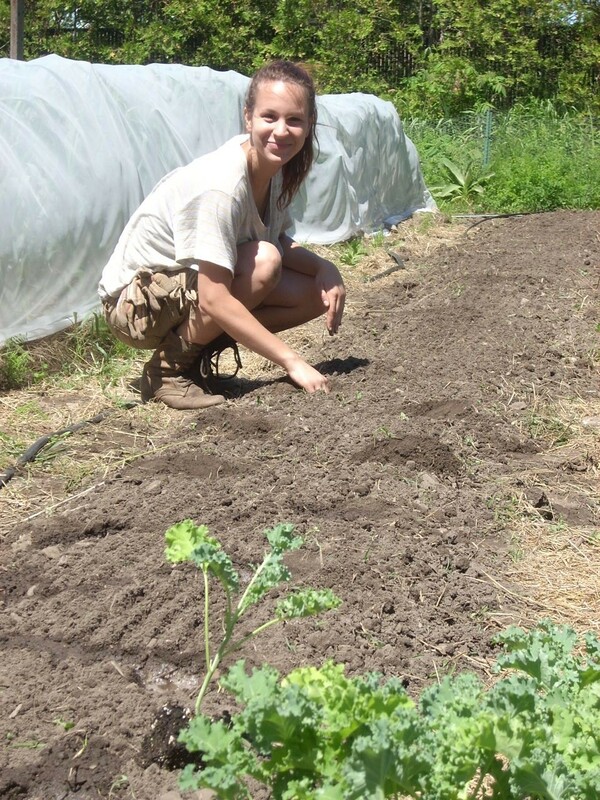 Join us for a discussion with Anne Janssen on the benefits, both personal and global, of the blossoming urban farming movement. 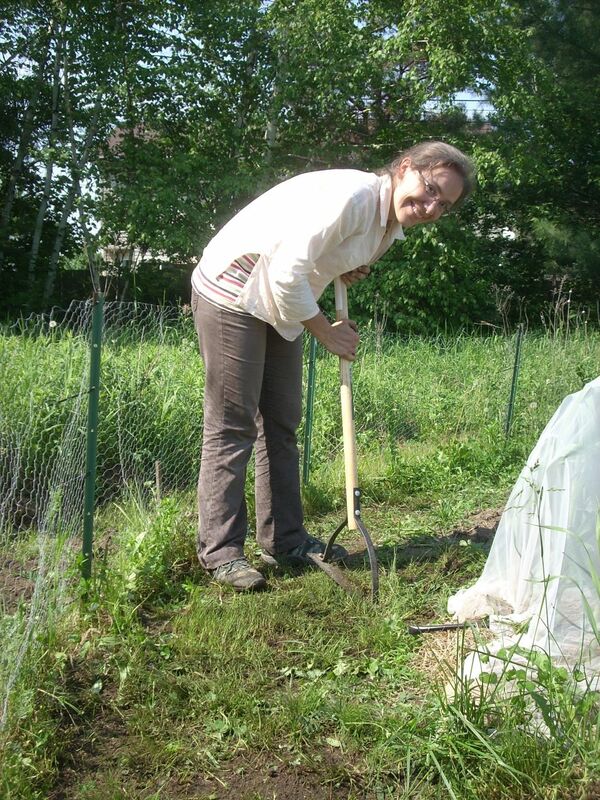 Anne will make a short presentation with photos sharing her experience of growing food close to home in an urban environment. 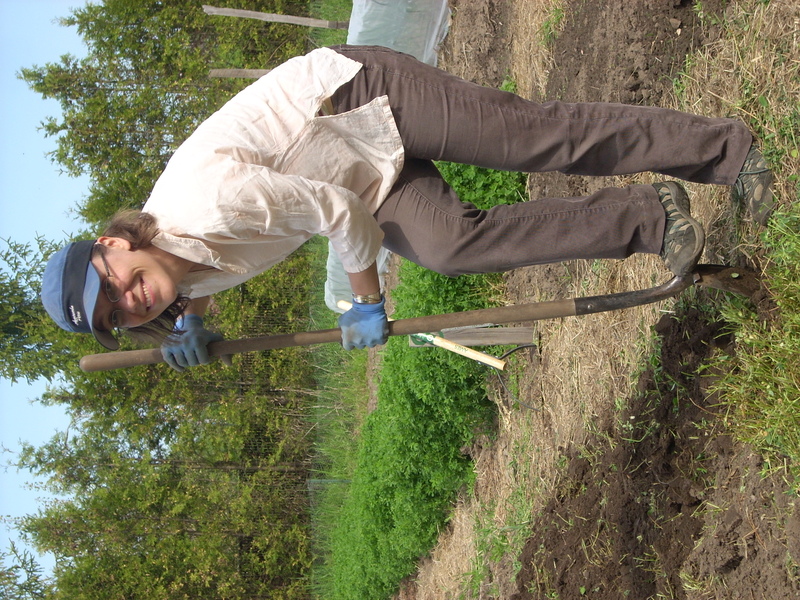 As the main ‘farmer’ at Aylmer Backyard Farms, Anne Janssen has been lovingly growing food for more than ten years. 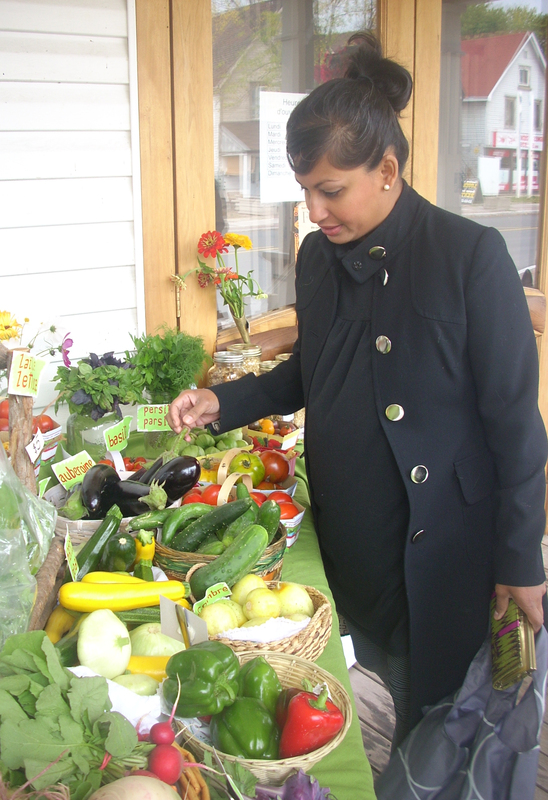 Her eating passion started long before that, along with her heart-felt advocacy for the Earth and all things organic. 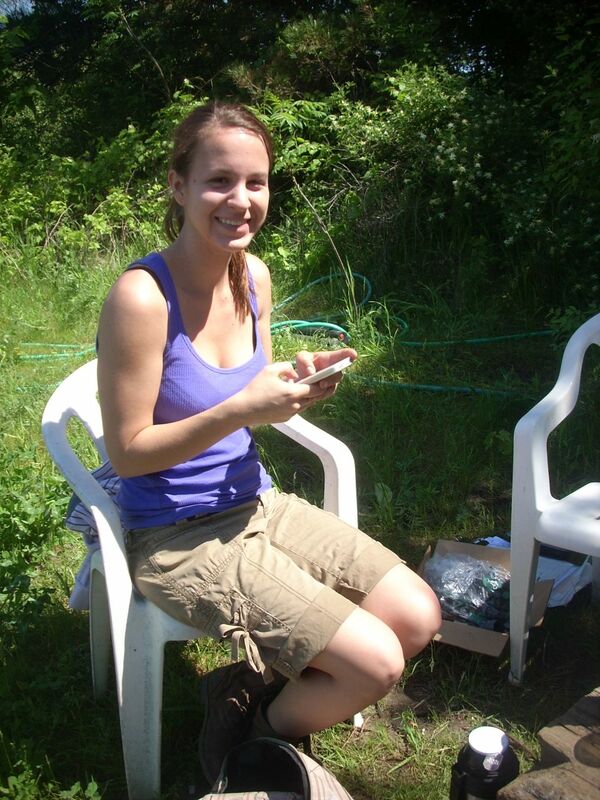 In 2010 she decided to ‘go public’ and start growing for market. 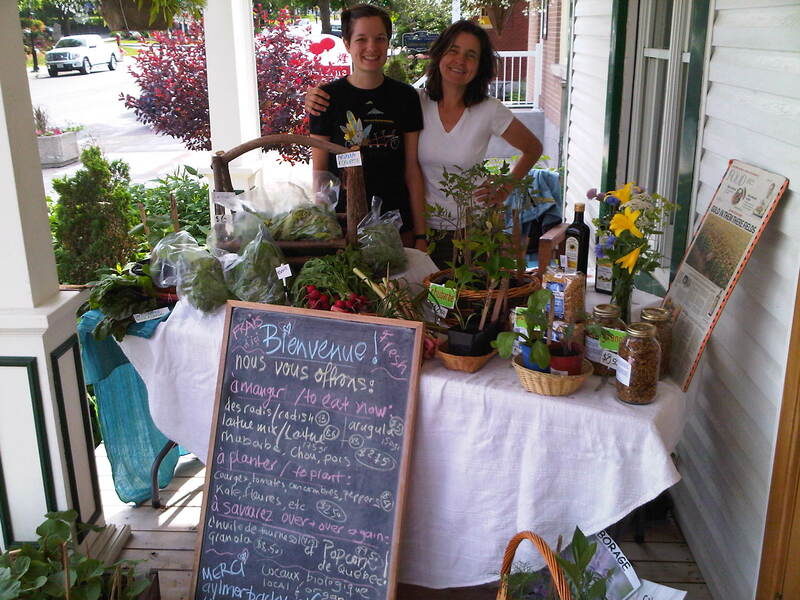 Anne and her veggies can be found every Saturday from June to September on the porch of the lovely Boulangerie aux deux Freres, right in the heart of Aylmer, less than 5km from where all the food is grown. 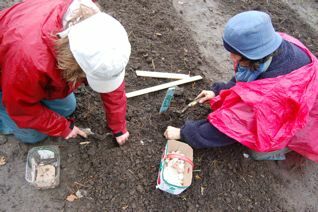 There is no charge for this event although donations towards Backyard Farms’ 2012 volunteer workshare program are welcome. Light refreshments will be served after class. 745, Chemin d’Aylmer, Ste 204. Aylmer. 819 684 2084. Les journées sont si belles ces temps-ci! Ce samedi, 1er Octobre sera notre dernier jour à la boulangerie. C’a été un merveilleux été et je veux profiter de cette occasion pour remercier chacun et chacune d’entre vous qui sont venus le samedi. Je suis contente du changement de saison, mais nos rencontres hebdomadaires vont aussi me manquer. Toutefois, comme l’un d’entre vous me le rappelait récemment: il est temps pour la terre de se reposer. J’aime ce rappel. Je tiens aussi à remercier mon équipe de travail: Sarah – que beaucoup d’entre vous connaissent car elle était avec moi au marché la plupart des samedis – ainsi que Armel, Rhona et Kyla. Sans ce groupe phénoménal, il n’y aurait pas eu une telle abondance de légumes chaque semaine. Lire un peu plus sur eux ici. Et les bonnes gens à la Boulangerie, en particulier Étienne, Emmanuel et Marianne. Ici, ils préparent leur fameuse pizza! Certaines des plantes ont apprécié la météo autant que moi, alors je suis optimiste que nous allons être en mesure d’offrir une riche moisson pour notre dernière journée. Pour ceux d’entre vous qui n’ont pas encore essayé une tomate ‘héritage’ en raison de son apparence, de son prix ou parce qu’elle ne vous est pas familière : faites le grand saut! Rappelez-vous, cette tomate est à consommer comme un rare délice ! Elle ne fait pas partie du jardin habituel et n’est certainement pas ce que vous pouvez trouver dans les supermarchés. Elle peut sembler abimée, elle est fragile et doit être consommée lorsqu’elle est mûre. Mais essayez-en une à parfaite maturité et vous saurez ce que la tomate goûtait jadis. Faites un test de goût et vous m’en donnerez des nouvelles. Aux cotés des tomates, il devrait également y avoir un lot frais de radis et chou-rave automnal ainsi que de petites carottes sucrées (croisons les doigts! 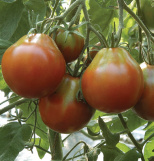 ), des concombres, des betteraves rouge et or, des tomatillos, de la coriandre, de l’aneth, du basilic, de tendres zuchinis, des aubergines, des cerises de terre, des poivrons, notre mélange de laitue, de la roquette, de la moutarde et des vrilles de pois. Je suis sûr que j’ai oublié quelque chose. Ah oui: le chou frisé, la bette à carde, l’huile de tournesol, le maïs soufflé et le granola! Voici quelques photos récentes du stand de légumes. Ce-ci est un message que Juniper, de Juniper Farm, a recentement envoyé a ses membres ASC concernatn les tomates patrimoniales. J’ai pensé vous dire quelques mots sur les tomates patrimoniales. – elles ne donnent pas une récolte aussi généreuse que d’autres variétés de tomates. Alors, pourquoi les cultivons-nous à la ferme Juniper ? Elles sont les tomates les plus savoureuses et ont une apparence unique. Une fois qu’on a goûté à une brandywine, à une green zebra, à une Cherokee purple ou à une Sunkist, on ne peut retourner aux autres tomates. Nous cultivons également les tomates rouges standards, celles que vous avez eues la semaine dernière, mais nous désirons mettre quelques tomates patrimoniales dans votre panier pour que vous puissiez les savourer. Ce type de tomates peut parfois être tacheté. Goûtez à ces délices ! The story begins with the author driving in Naples, Fla., stuck behind a tractor-trailer stacked high with what appear to be Granny Smith apples. But the perfectly round green spheres, whose skins don’t break when they bounce off the back of the truck onto the roadside, are tomatoes: the sort that nearly everyone is guilty of reaching for in January—and that Americans spent $5 billion on in 2009. Those hard green balls (blasting them with ethylene turns their exteriors red while leaving the interiors underripe and tasteless) contain 30 per cent less vitamin C and about 14 times more sodium than cultivated tomatoes did in 1960. 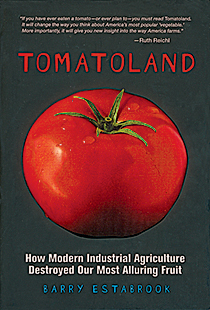 And because the Florida Tomato Committee decrees the exact size, colour, texture and shape of all their exported fruit, Florida tomato farmers, who provide North Americans with one-third of all their tomatoes, have over 100 chemicals in their arsenal to combat insects, bacteria and diseases. But, as Estabrook notes, “nowhere do the regulations mention taste.” Read more. L’ail biologique d’Aylmer a maintenant été récoltée et sera disponible dès demain sur notre stand de légumes. En plus de l’ail, nous aurons tous les goodies habituels – la majorité en plus grandes quantités afin que vous puissiez les stocker jusqu’à ce que les frères de la boulangerie soient de retour de leurs vacances: chou-rave, aubergines, poivrons, tomatillos, carottes, betteraves, bette à carde, chou frisé, les concombres, les laitues , roquette, coriandre, basilic, courgettes, courgette, courgette, etc. Comme toujours, tout est fraîchement récoltées, avec soin, ici même à Aylmer. NB – Tout comme la boulangerie, nous allons prendre une petite pause du marché, le 6 août. Cependant, nous serons de retour le 13 août à Le Saucissier de 9 à 13 h. Il est juste en bas de la rue de la boulangerie, en face de la bibliothèque d’Aylmer. Si vous n’avez pas encore visité ce joli magasin plein des spécialités régionales, voici une belle occasion. Pour ceux d’entre vous intéresser par les nouvelles, l’Ottawa Citizen a récemment publié un article sur Les paniers d’Aylmer. Vous pouvez le lire ici. La chaleur et le soleil réchauffent notre terre et les légumes d’été commencent à pousser! Vous pouvez consulter notre blog pour des photos de notre équipe de la ferme au travail (malheureusement les pages en français n’ont pas été encore mises à jour). Cette semaine nous aurons des betteraves, des carottes, du chou-rave, des poivrons, des aubergines et des courgettes en plus des habituels légumes verts: roquette (nouvelle récolte! ), Mizuna, le chou frisé, la bette à carde et nos célèbres laitues (nouveau doux mélange!). Tous les légumes-feuilles sont maintenant à leur prix d’été: $ 5/sac. Comme toujours, les quantités sont limitées, mais la fraîcheur est garantie ! Je vous suggère de venir nous voir avant d’aller à l’épicerie! En plus de l’huile de tournesol et des céréales granola, nous avons maintenant une nouvelle spécialité à notre kiosque de légumes: le popcorn biologique du Québec. Il a un goût fantastique et il éclate d’un blanc lumineux! Je suis très contente de vous avoir tous revu! Pour les autres, j’espère vous voir bientôt. Passez un été merveilleux, relaxant et délicieux. P.S À venir dans les prochaines semaines: plusieurs variétés de tomates et de l’ail. 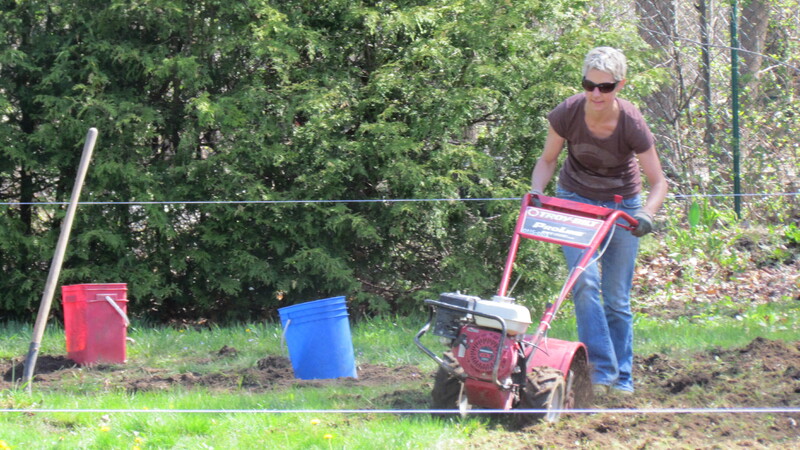 Leaving one of the backyard farm plots for the 450 metre drive to the boulangerie. There aren’t many carbon miles in our veggies. Voici quelques photos de la ferme urbaine. Pour un peu de contexte, s’il vous plaît voir nos pages en anglais ici.